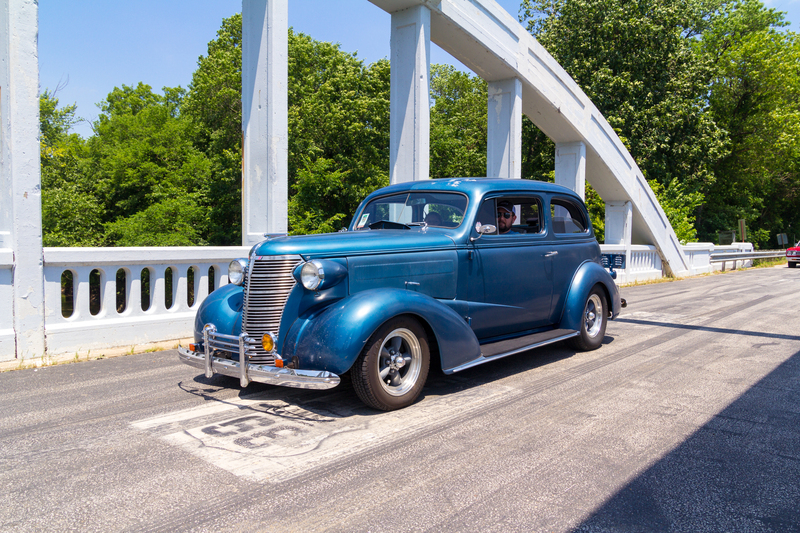 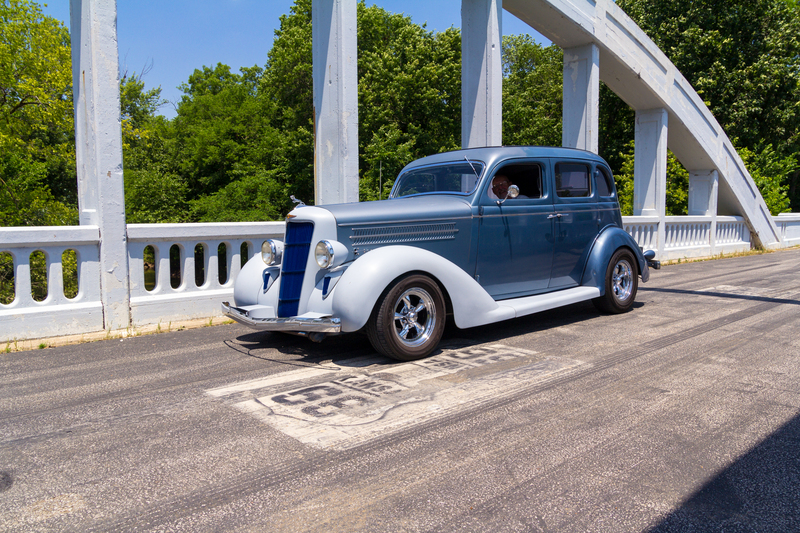 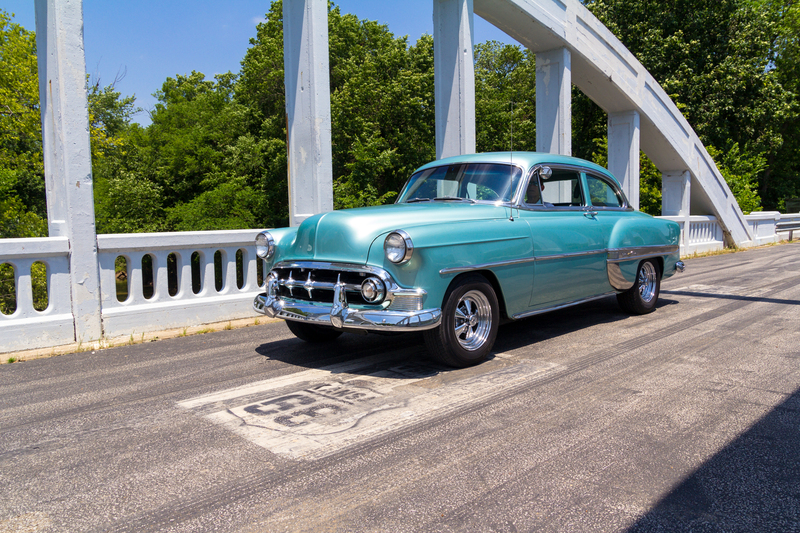 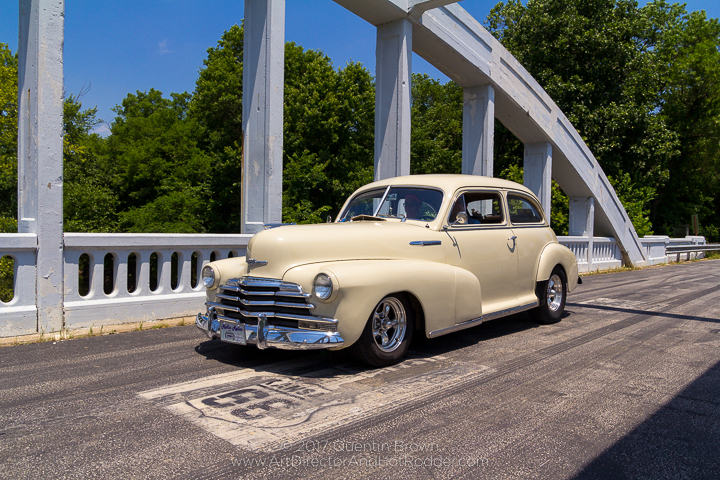 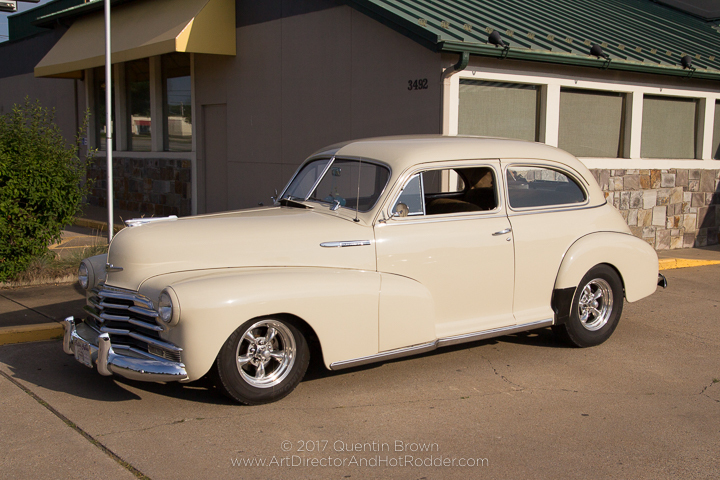 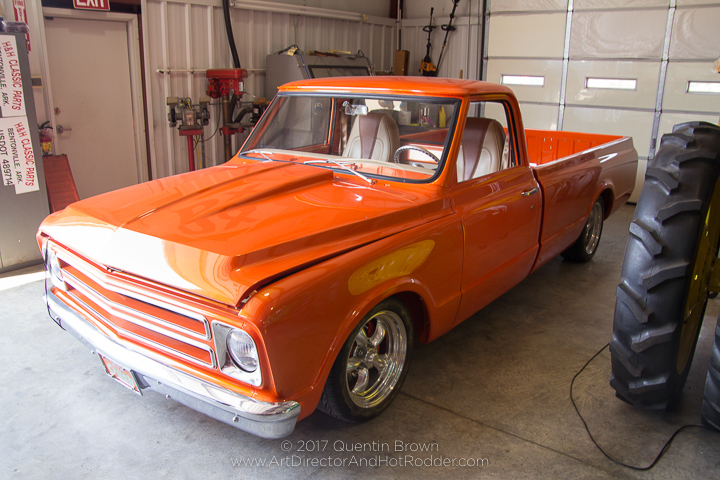 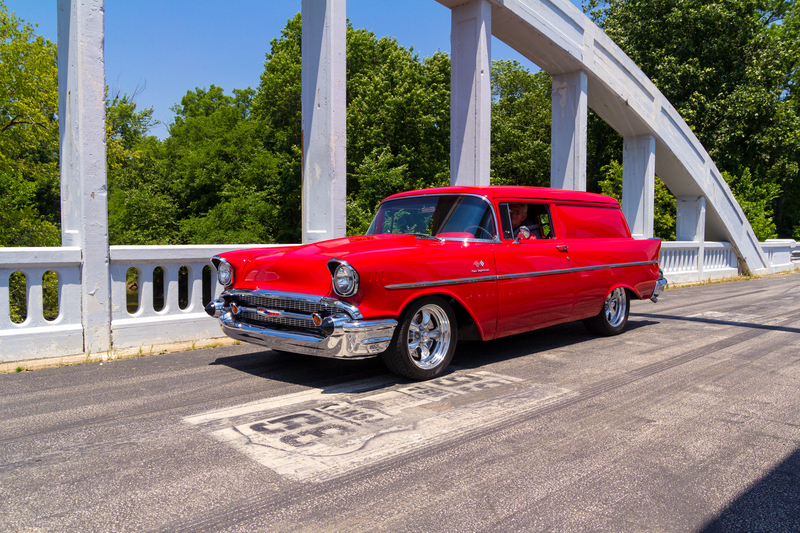 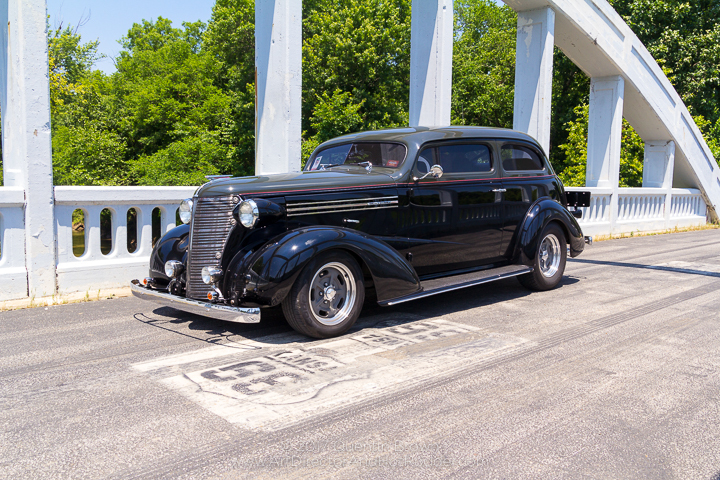 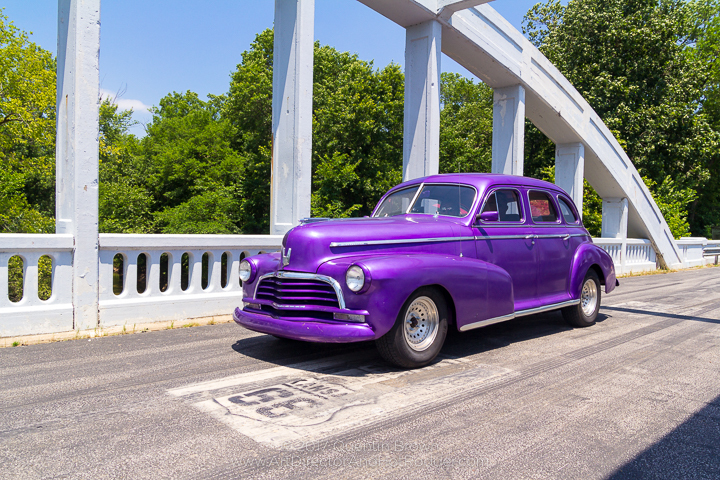 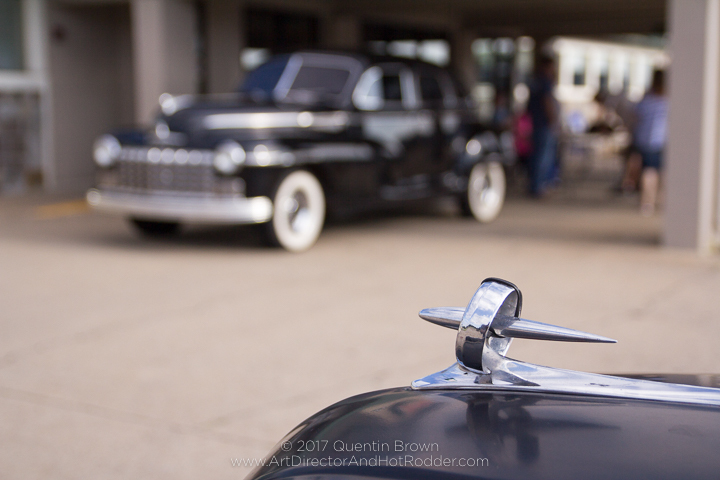 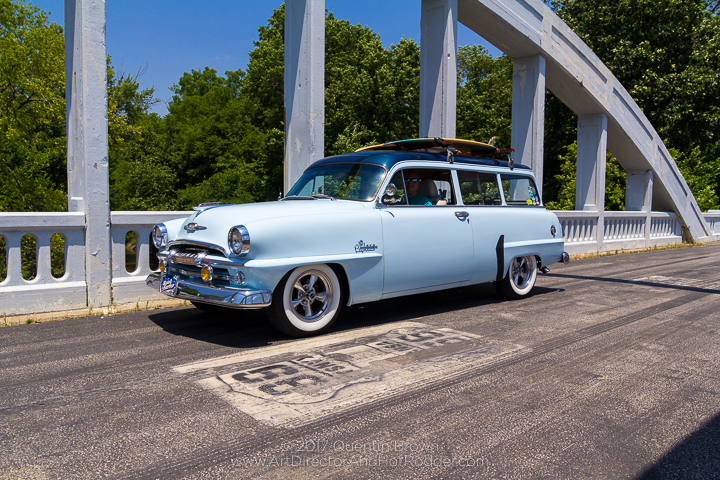 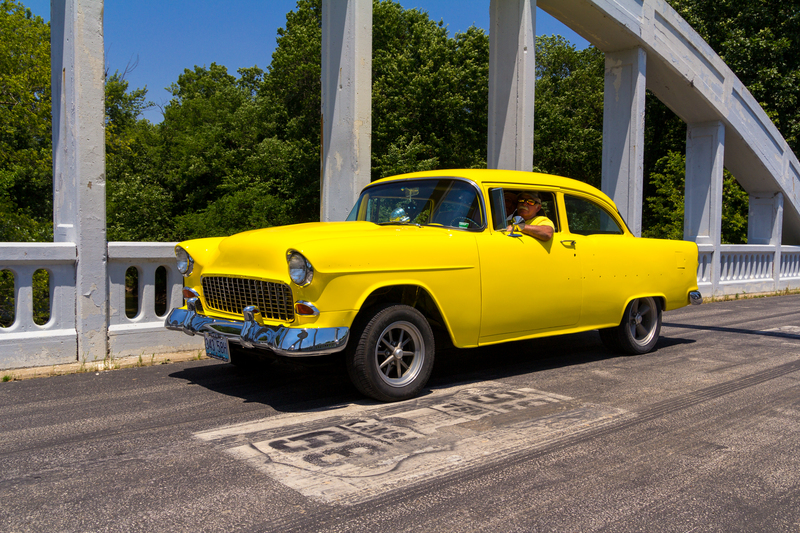 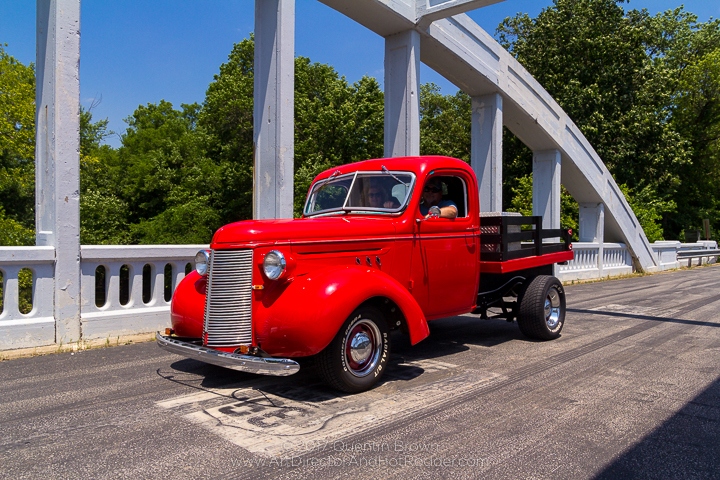 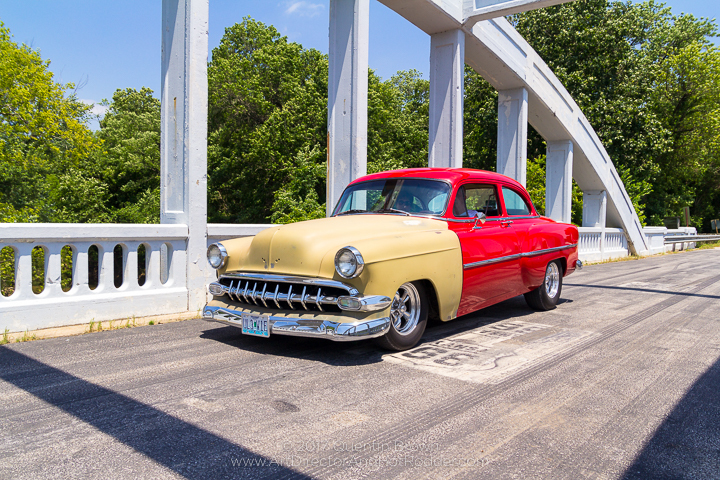 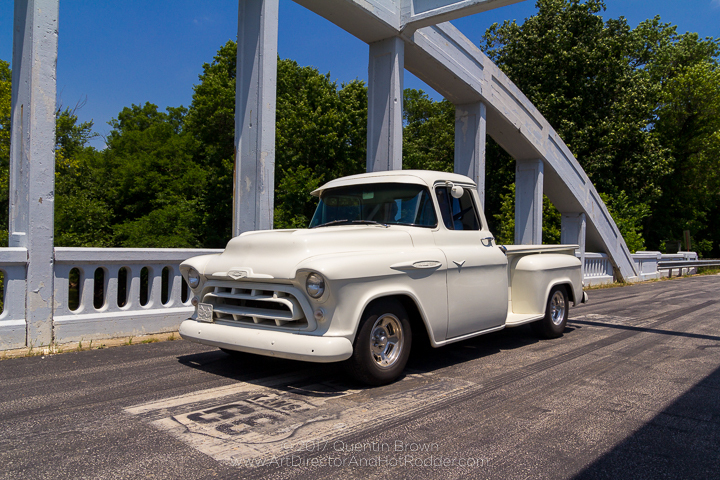 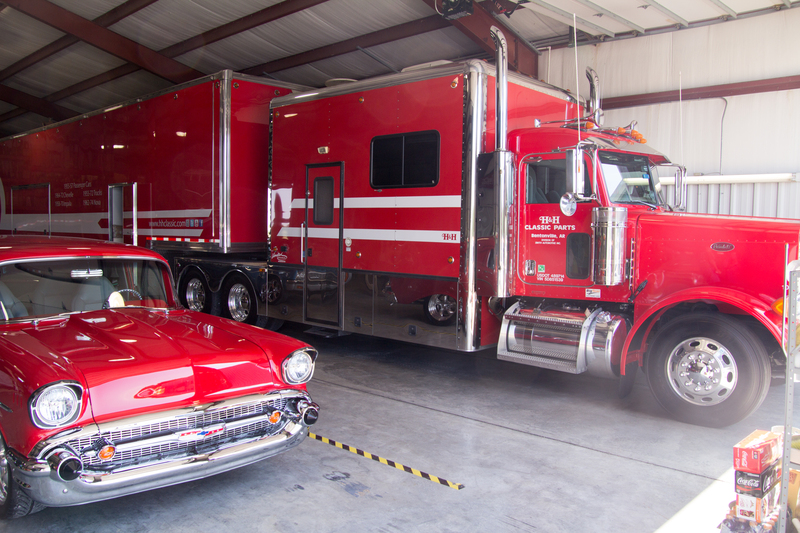 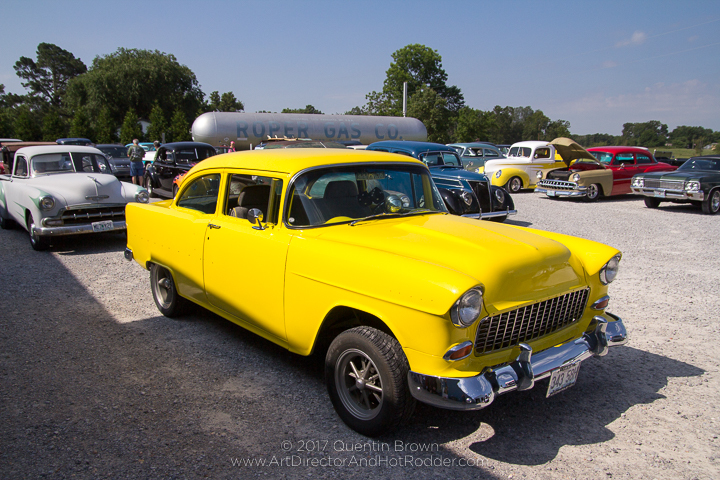 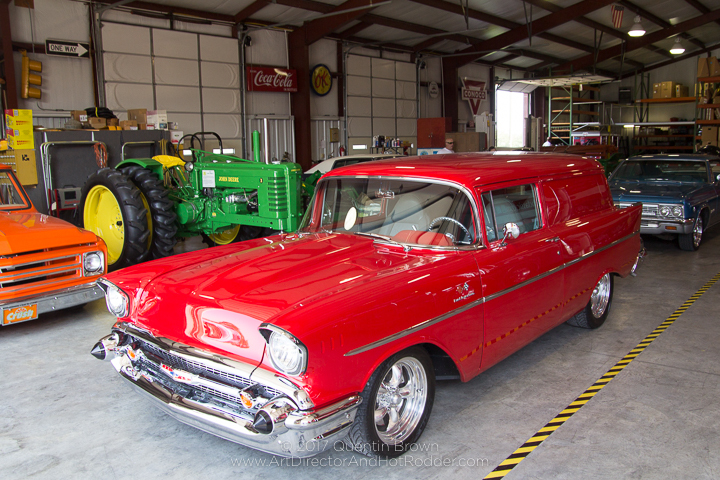 For the second year in a row, I have gone down to Northwest Arkansas (NWA) to attend the NWA Hot Rod Hundred Reliability Run. 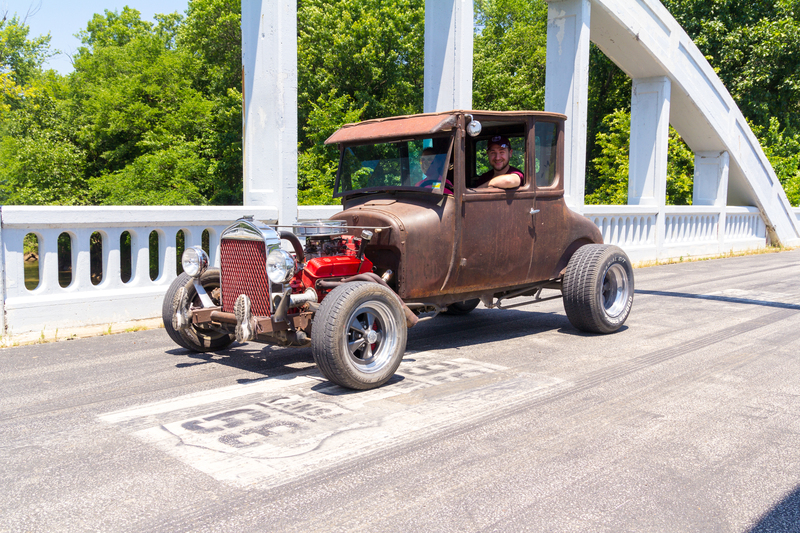 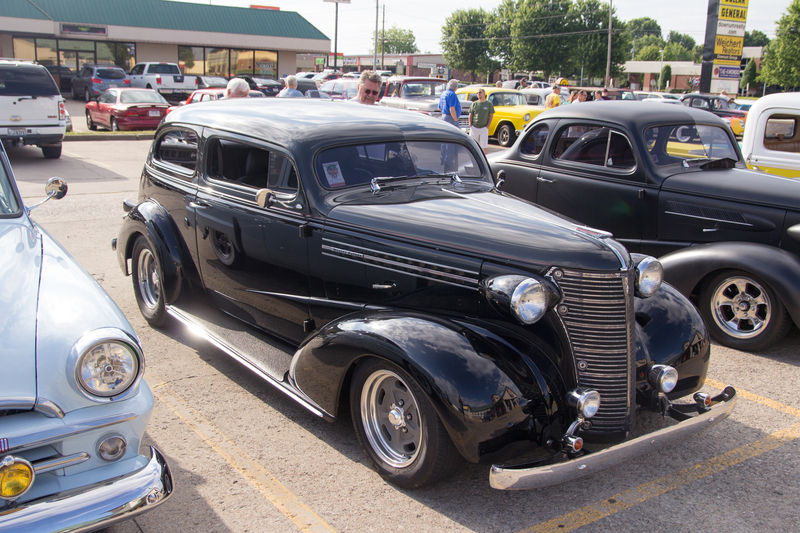 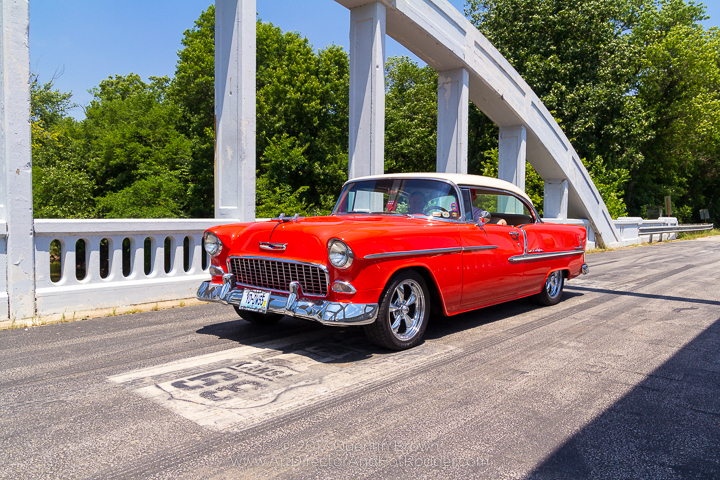 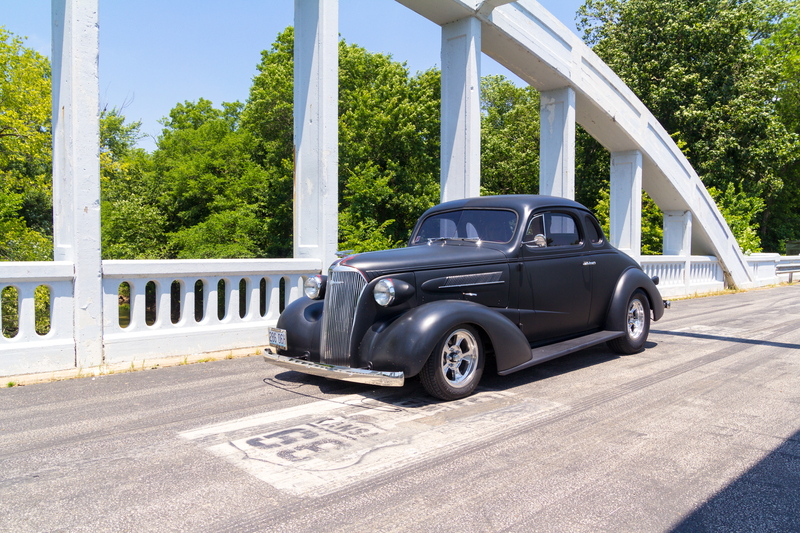 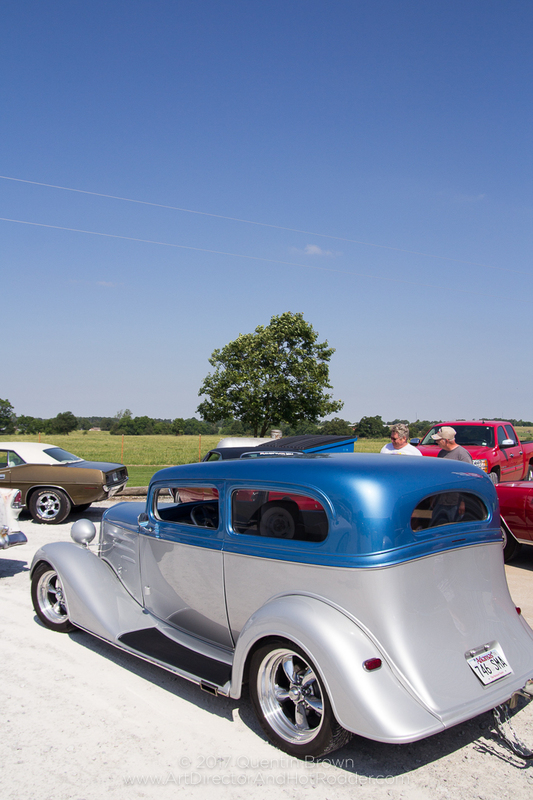 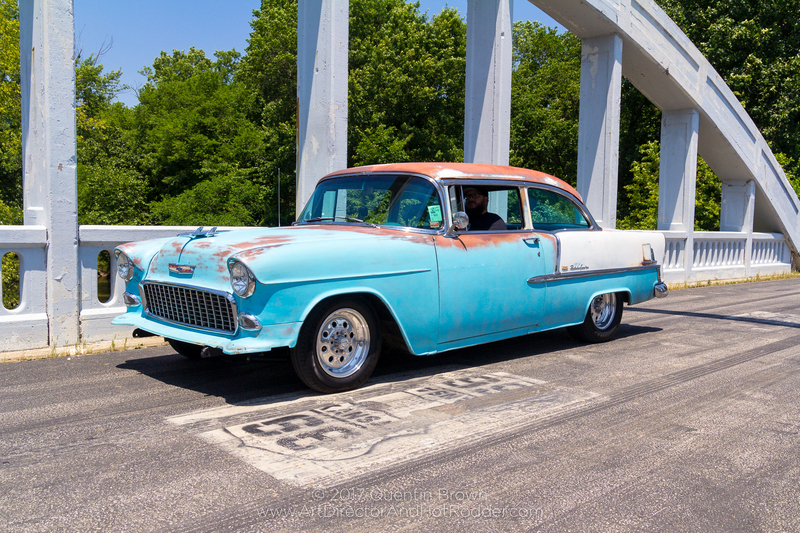 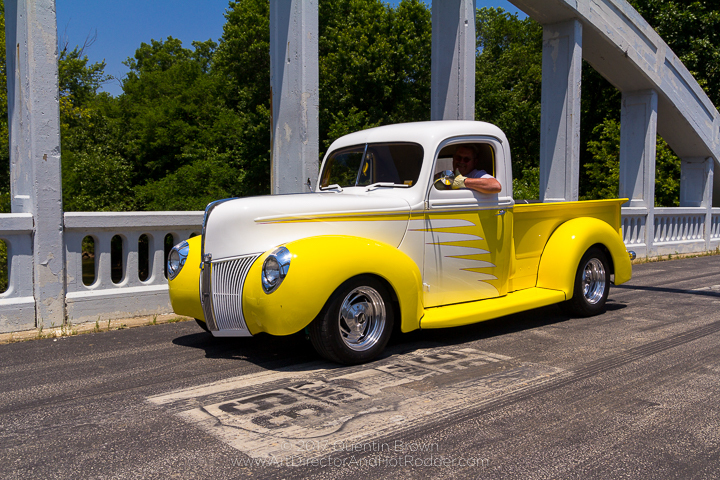 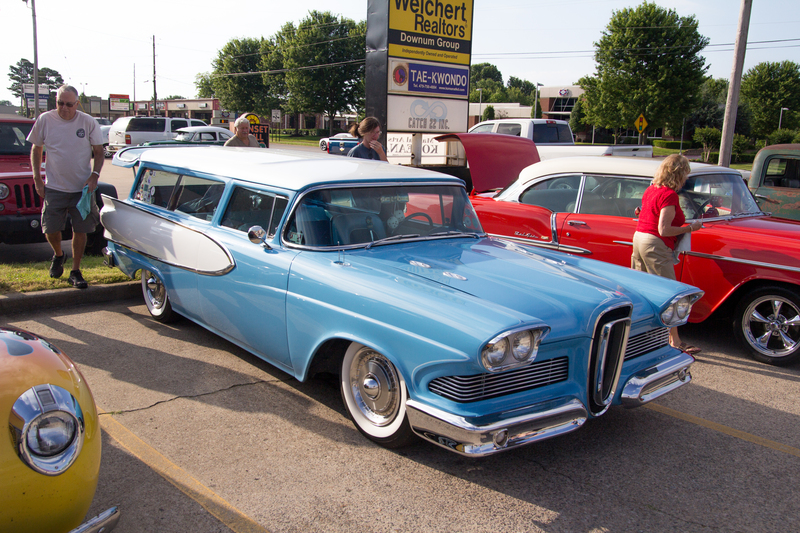 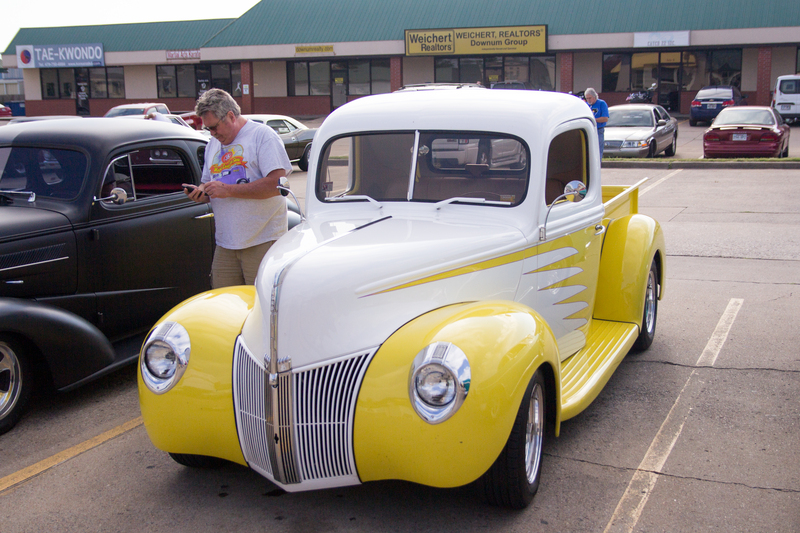 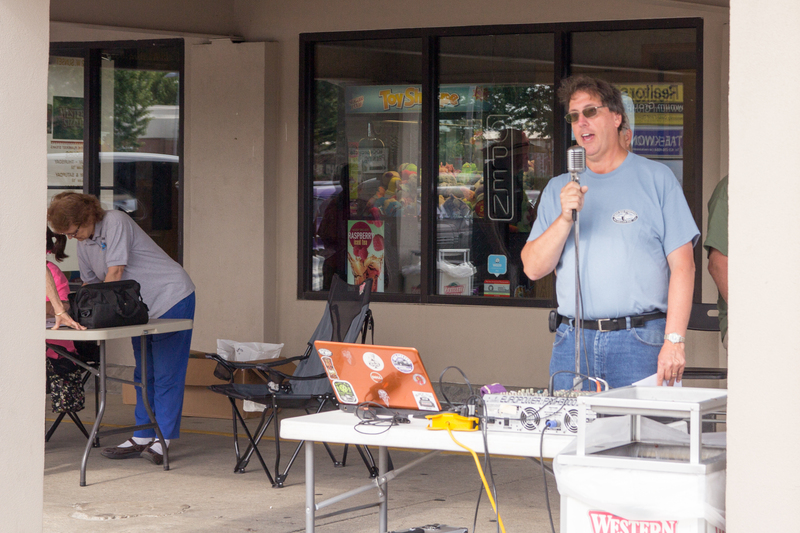 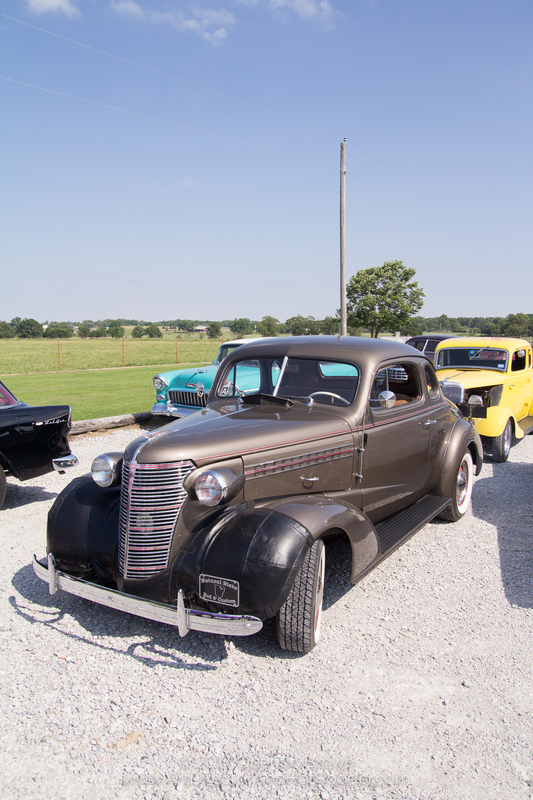 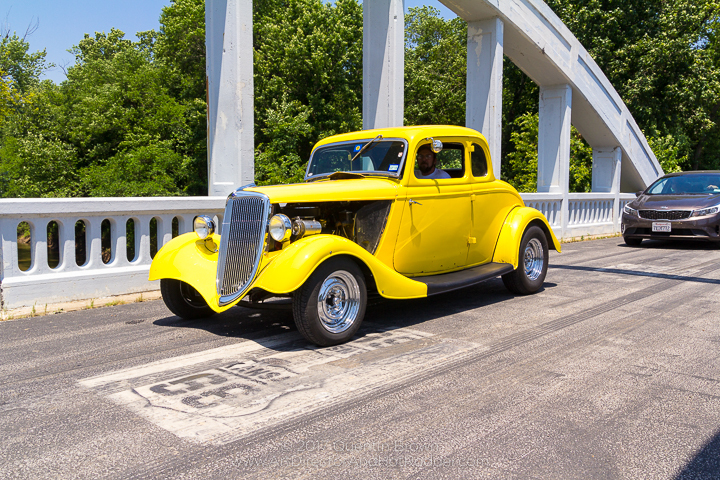 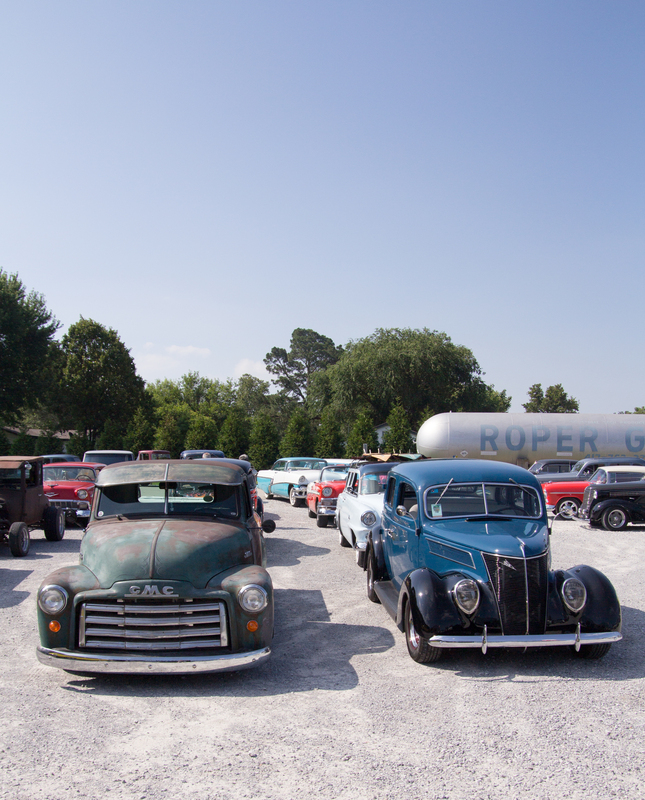 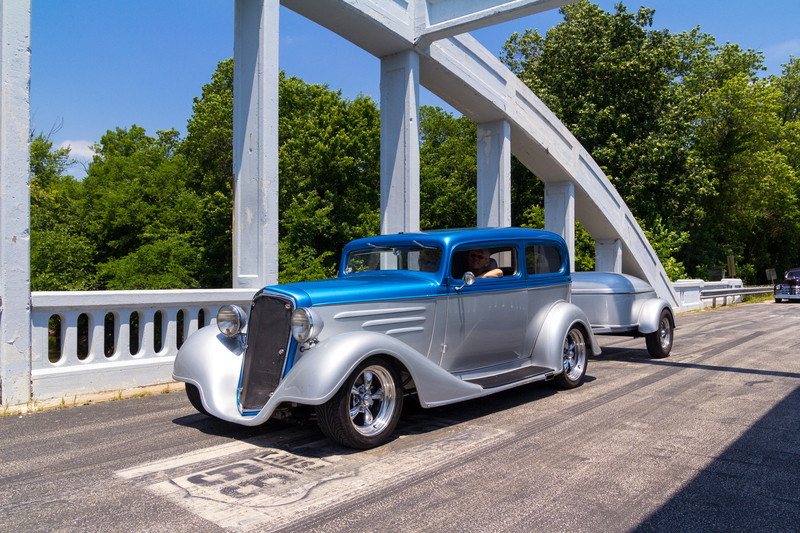 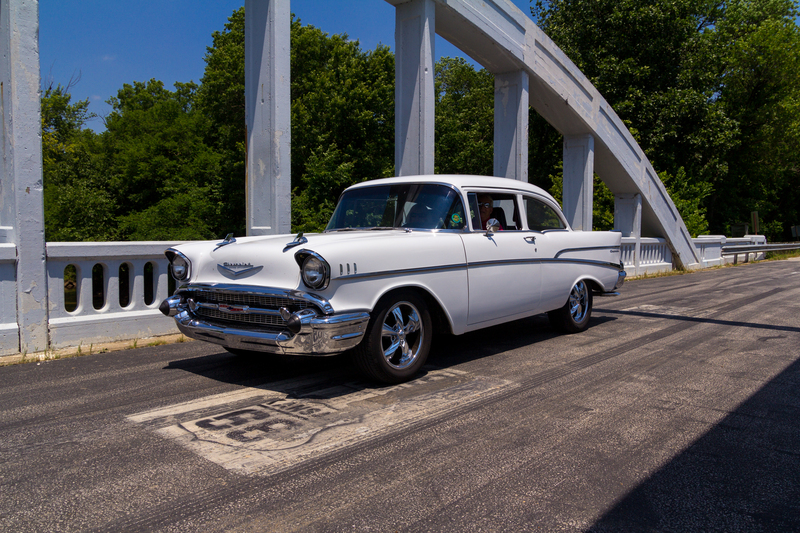 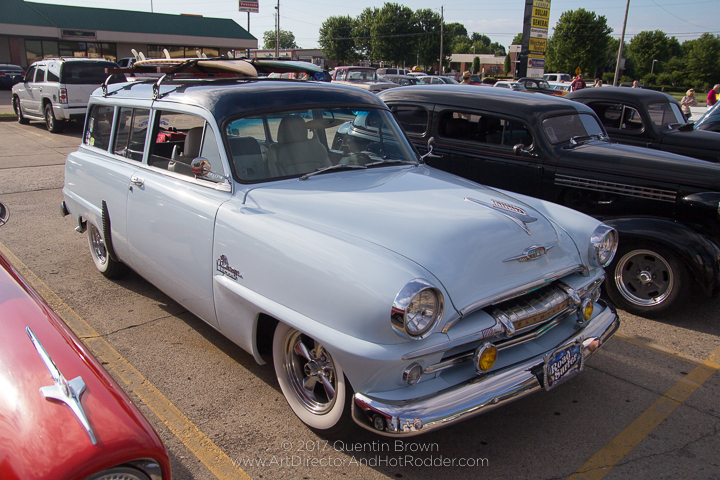 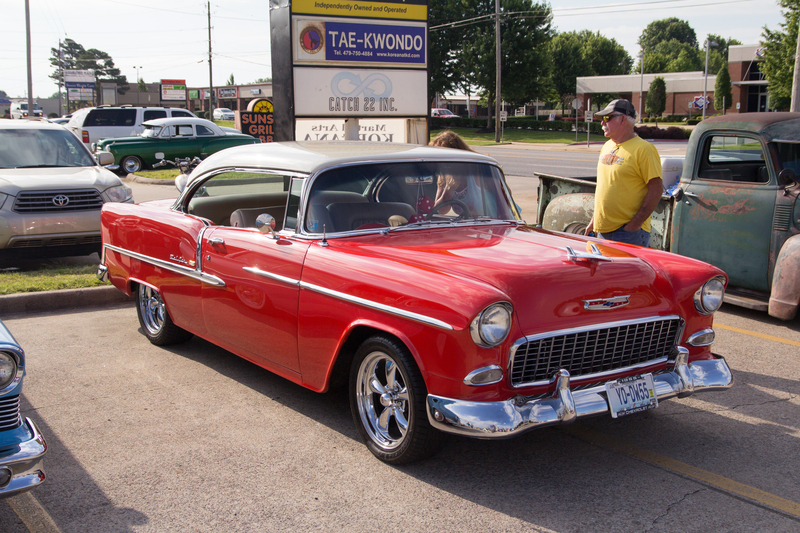 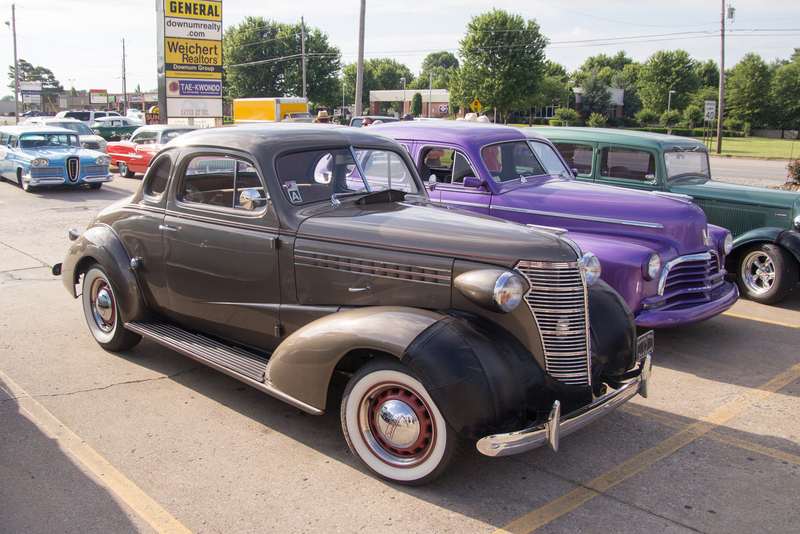 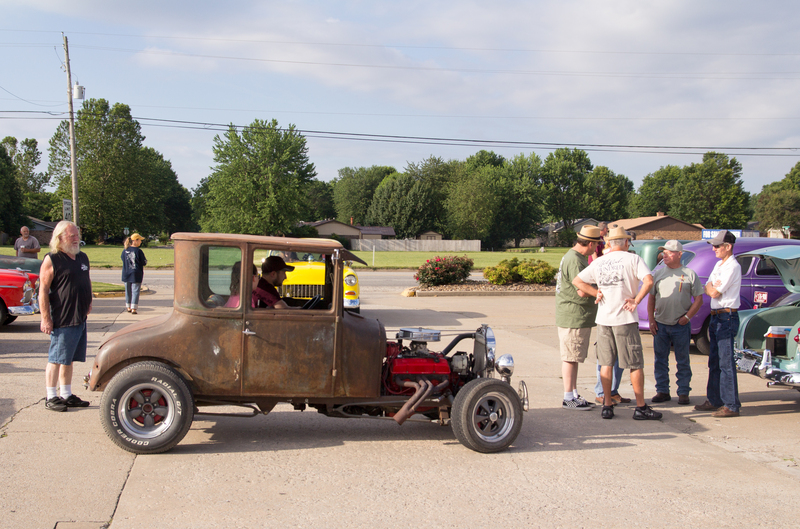 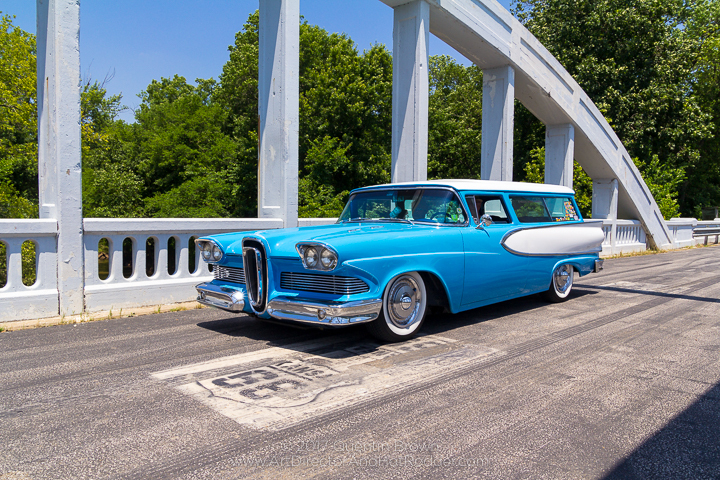 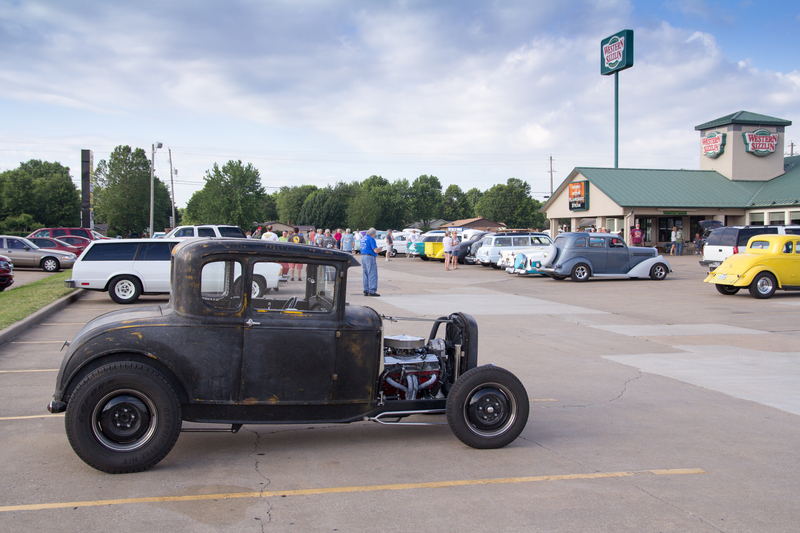 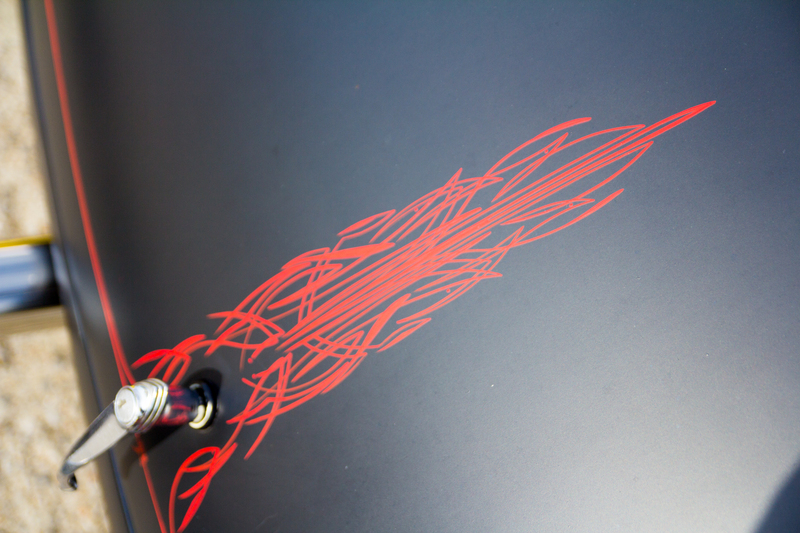 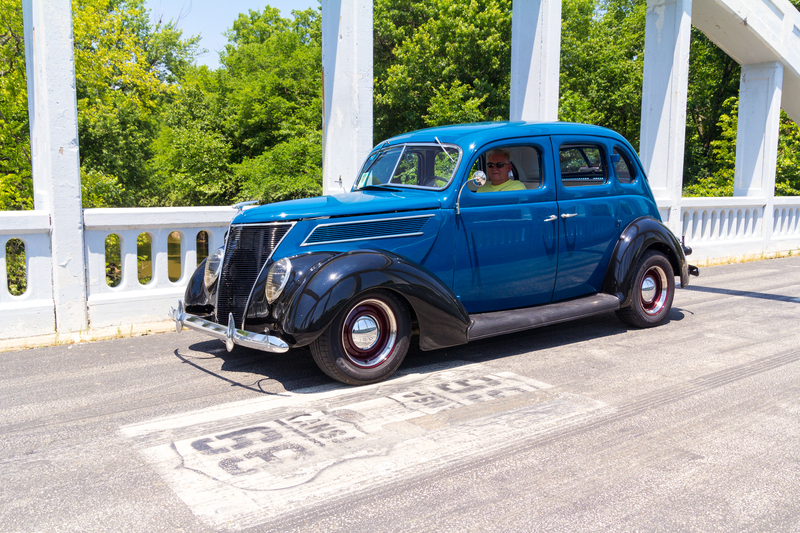 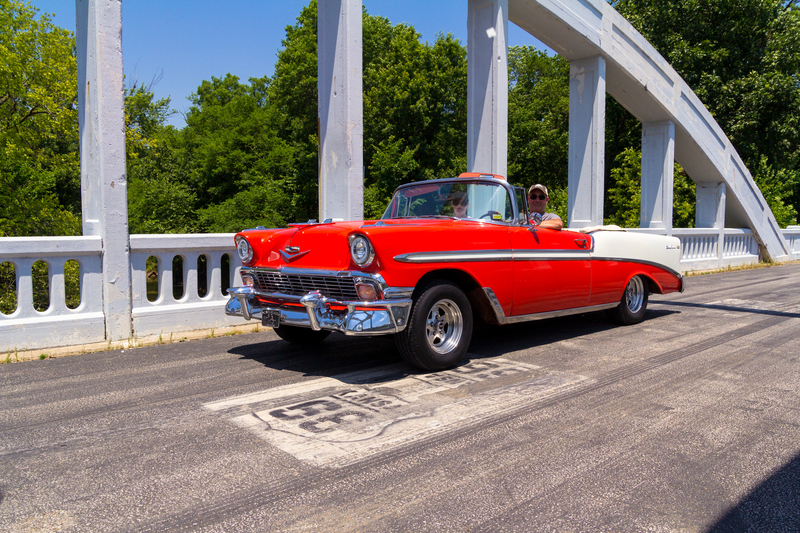 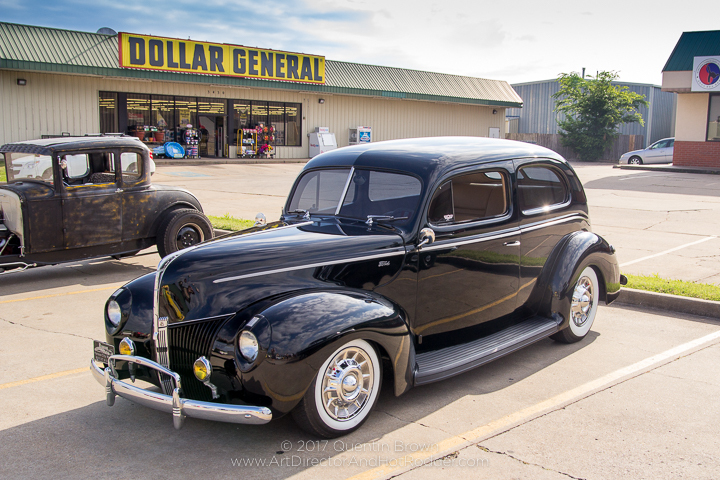 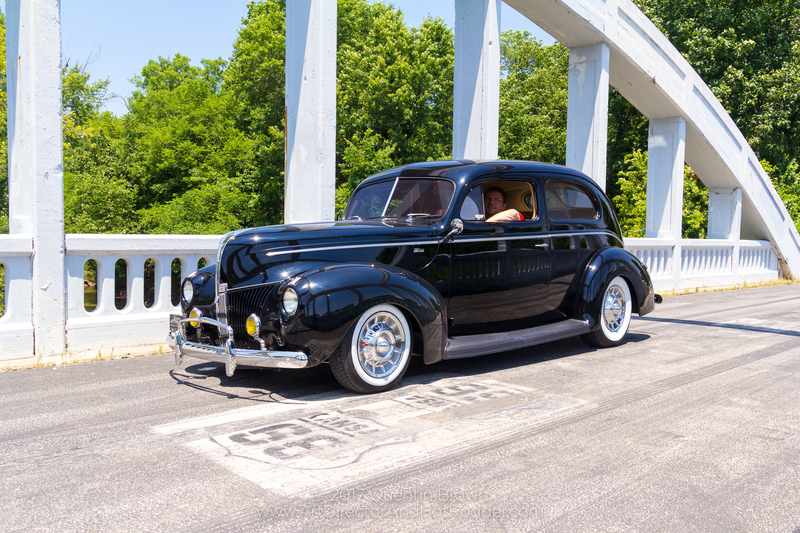 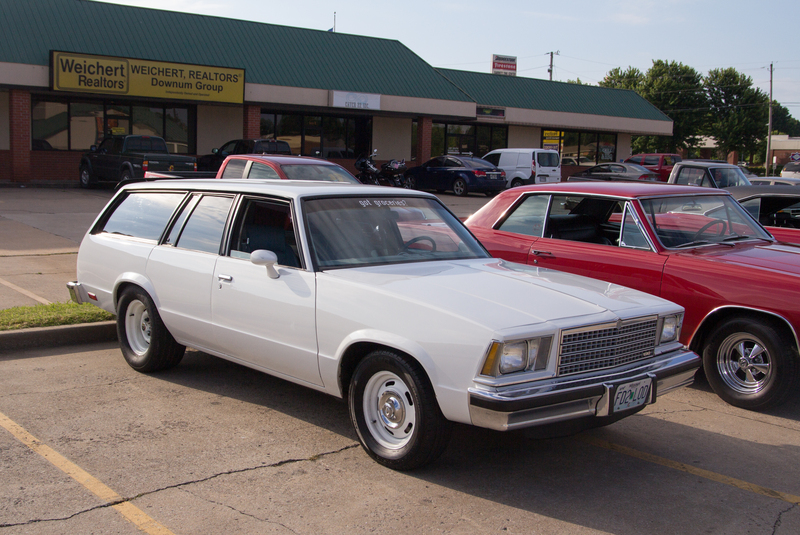 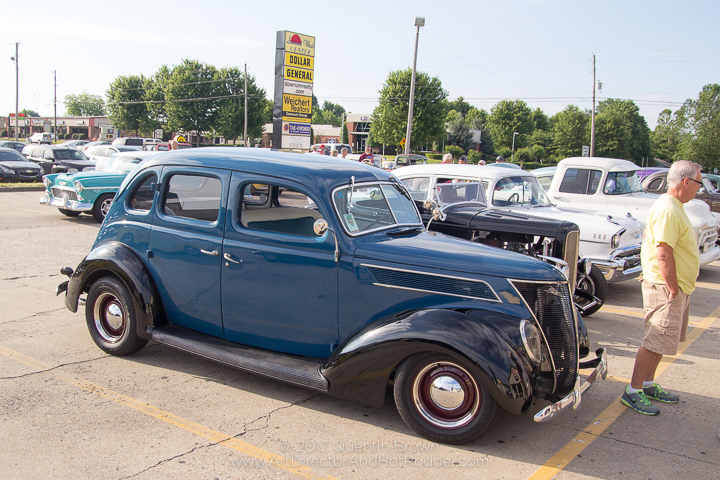 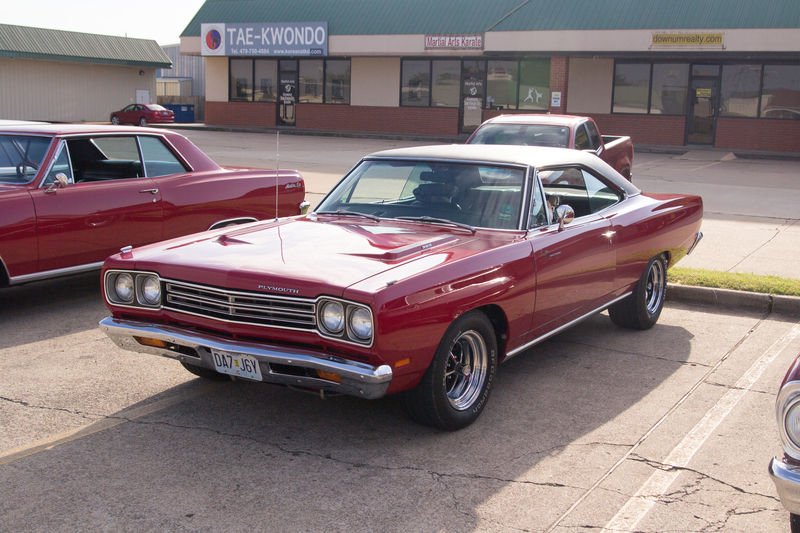 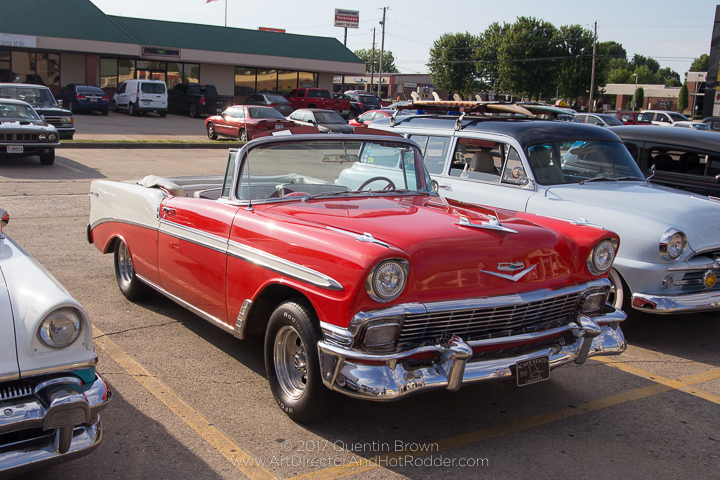 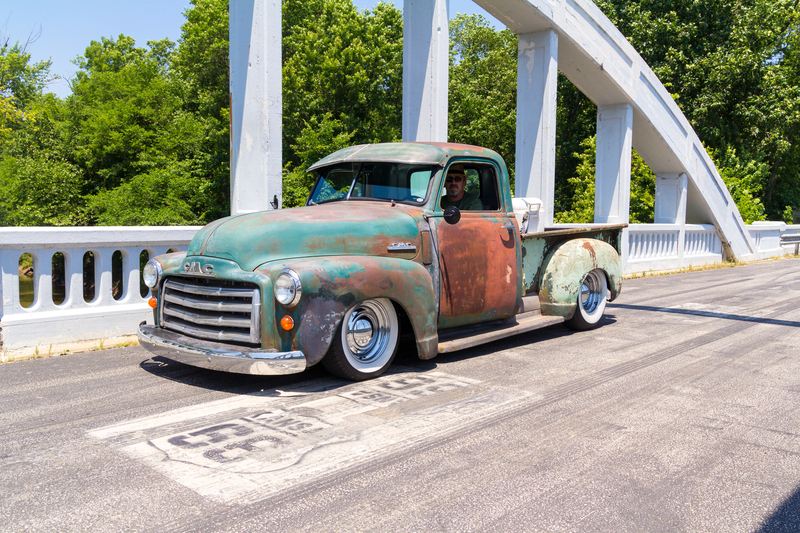 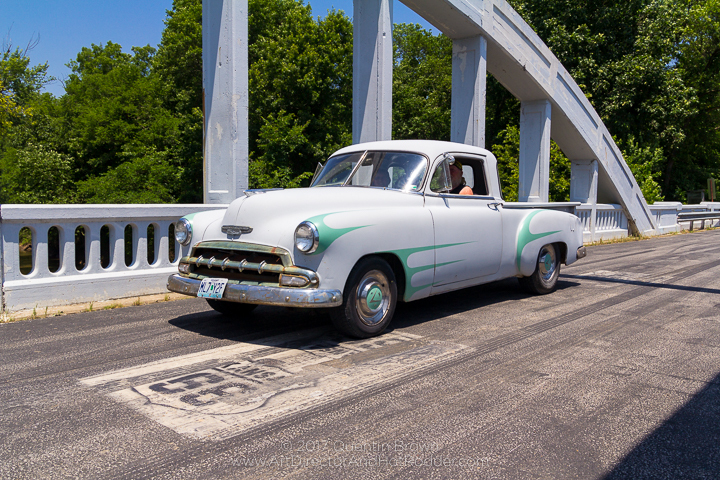 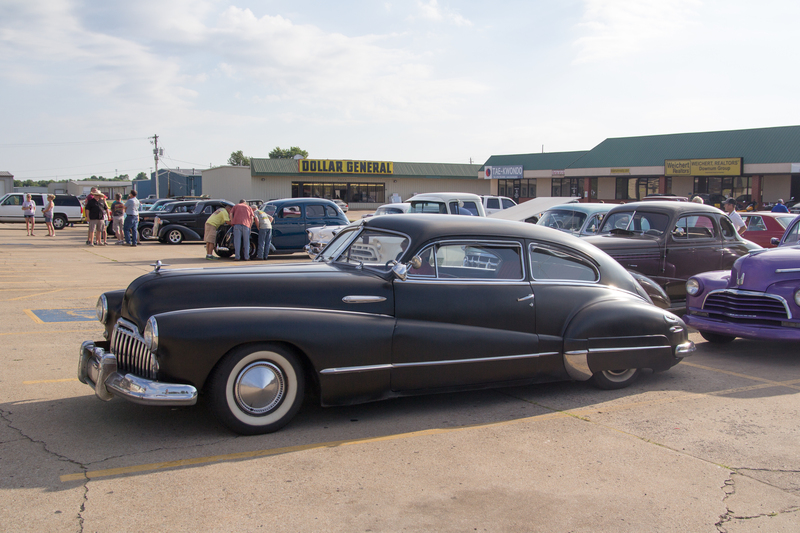 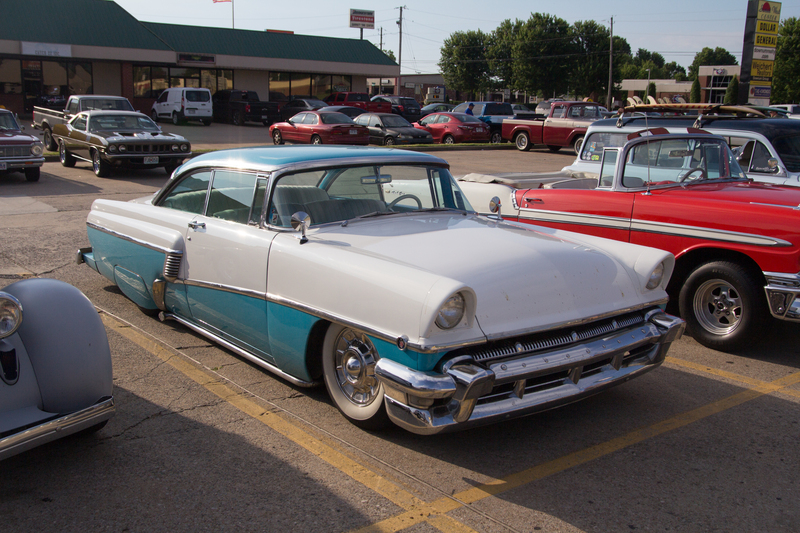 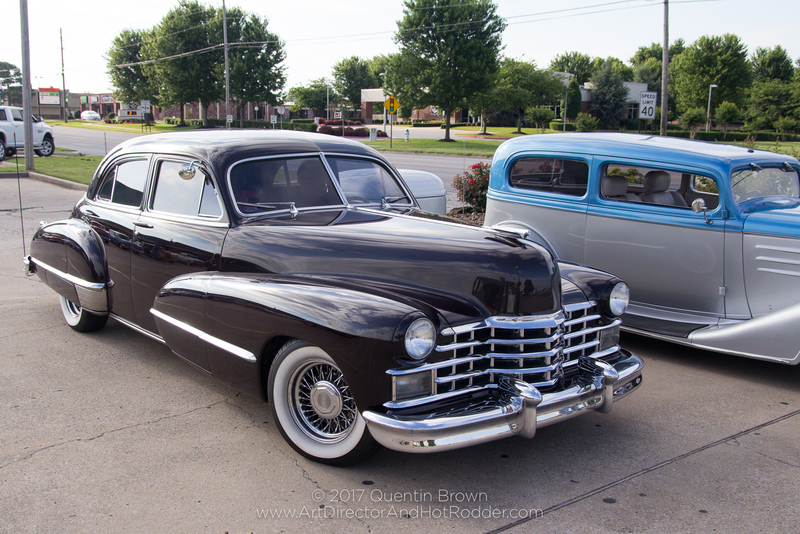 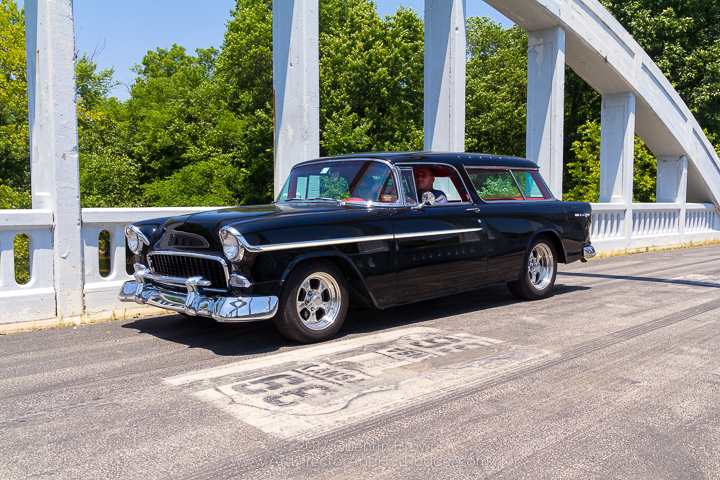 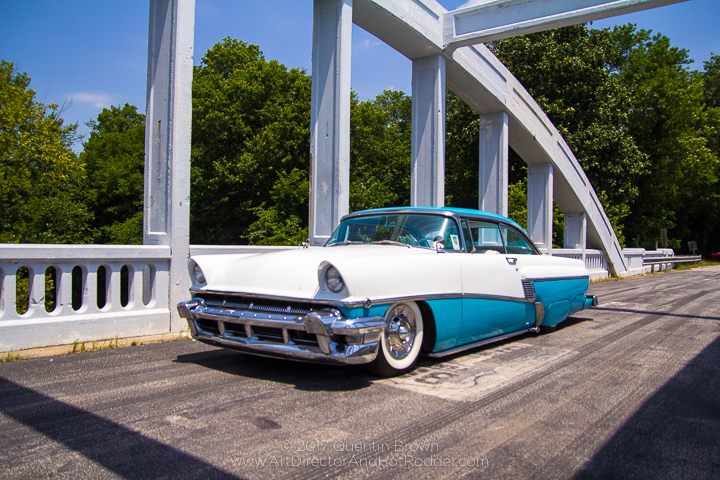 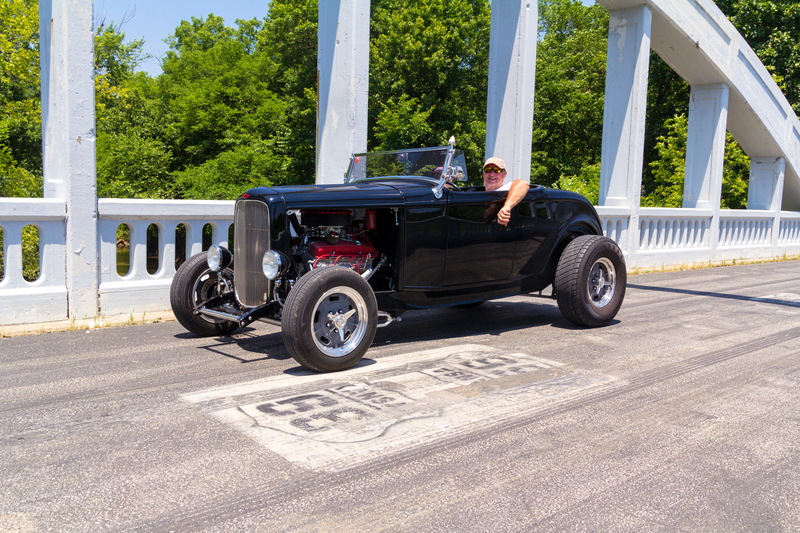 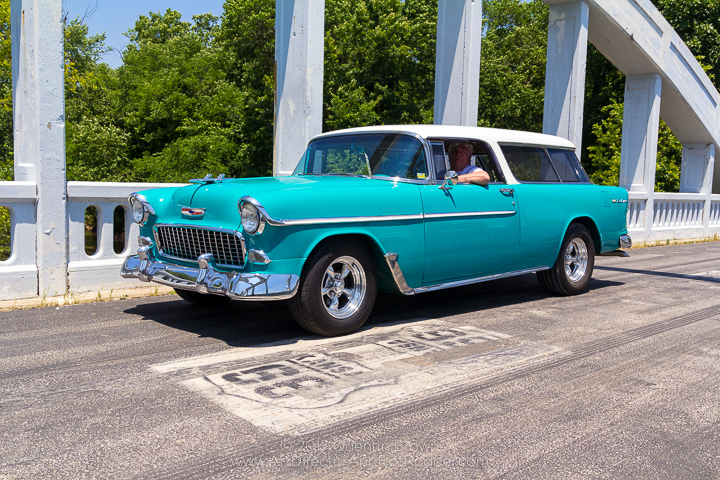 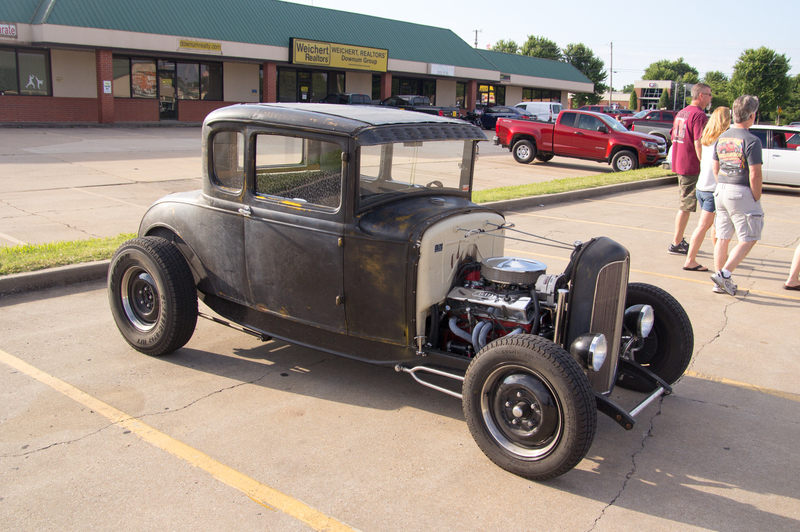 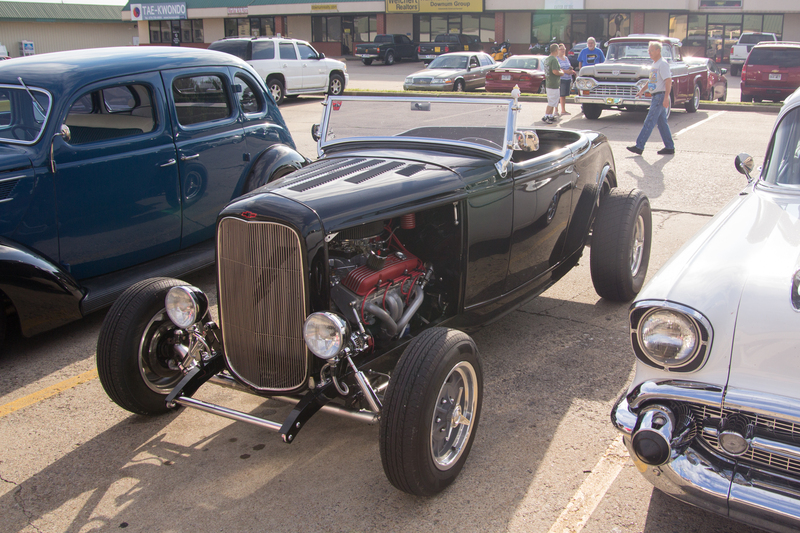 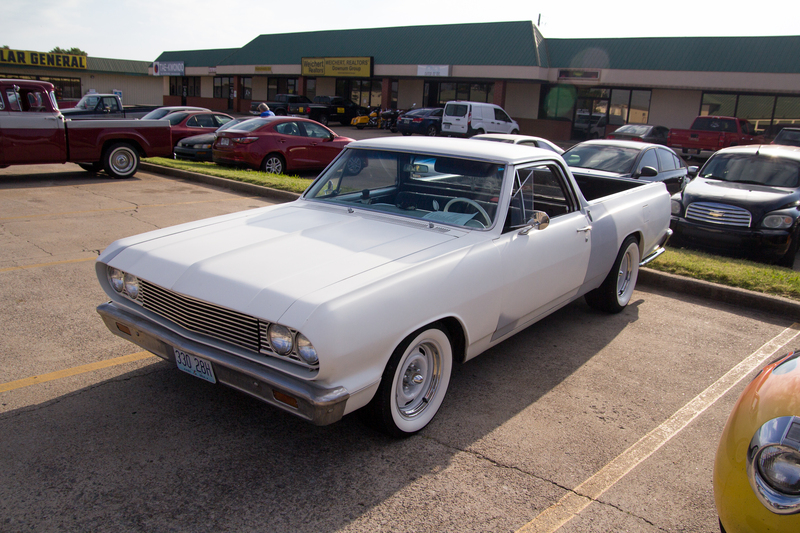 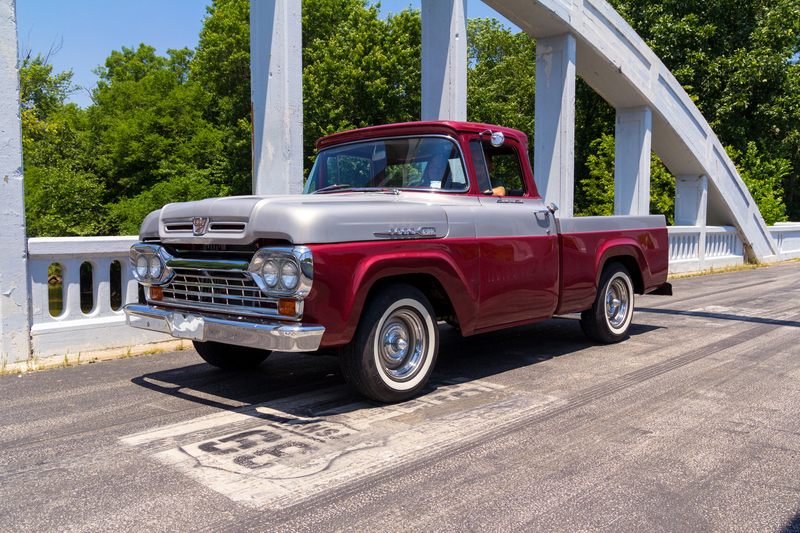 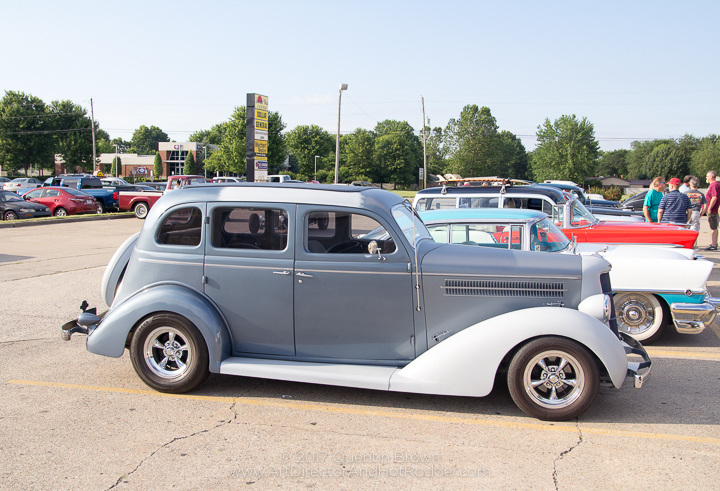 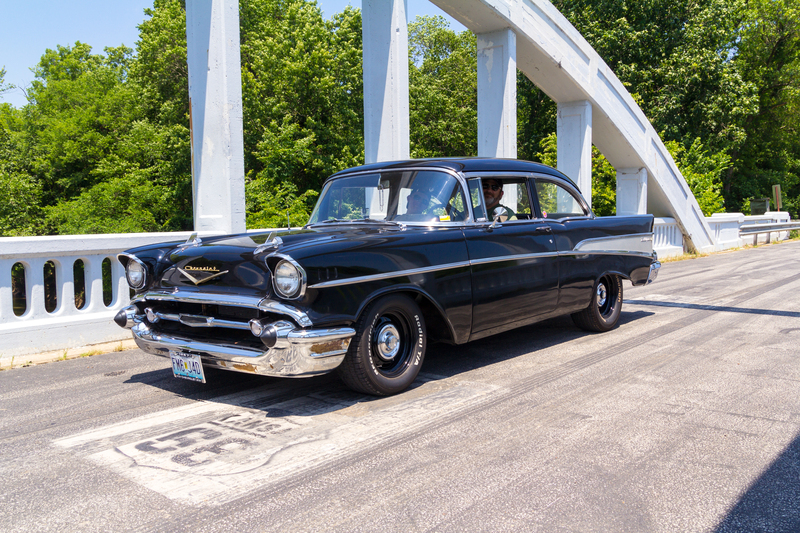 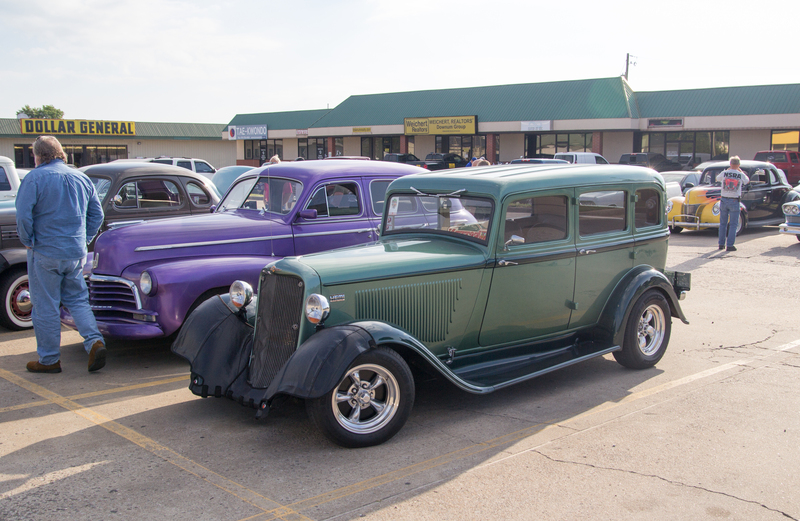 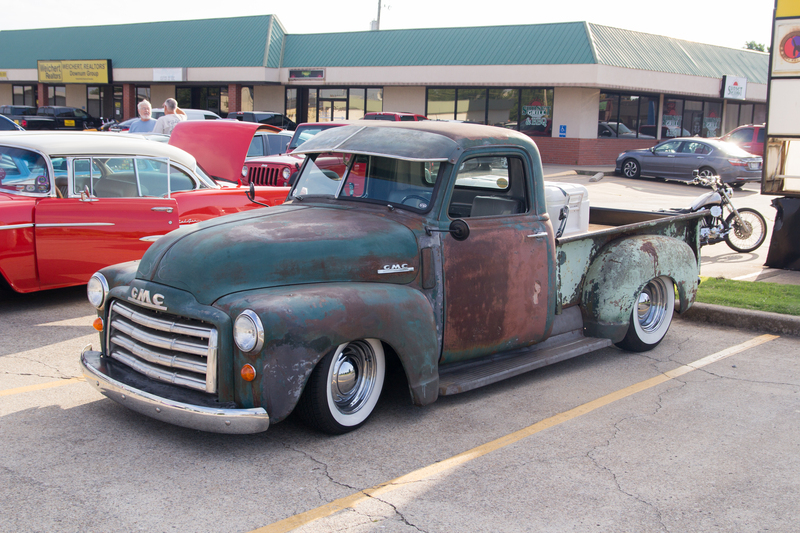 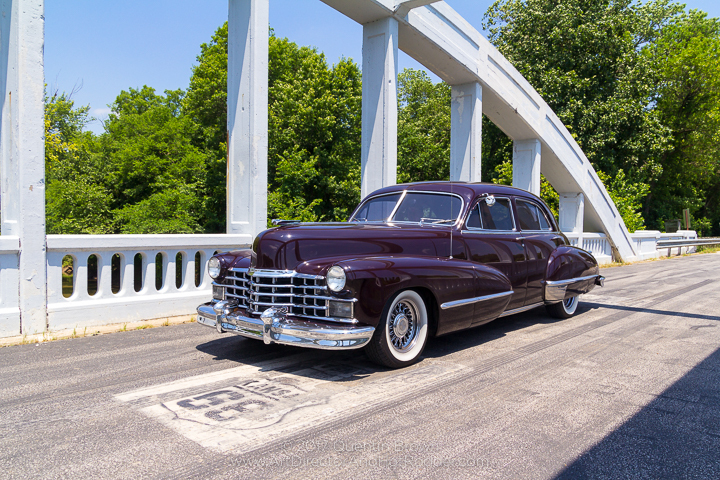 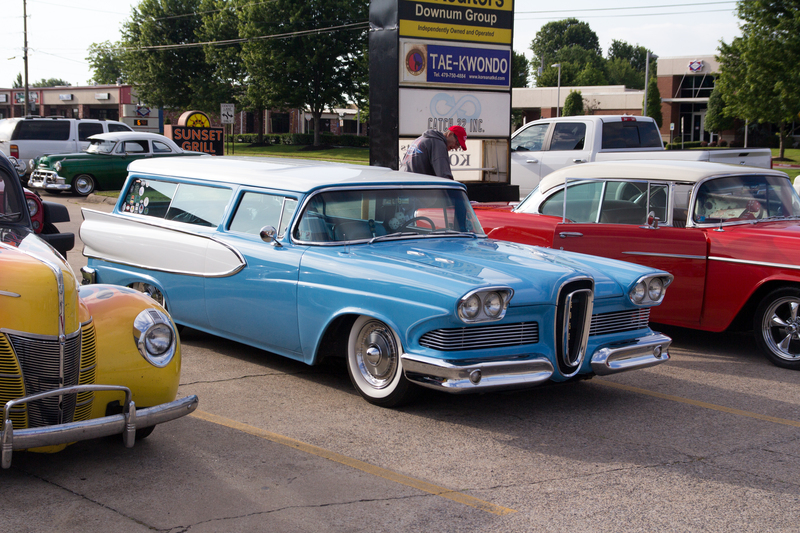 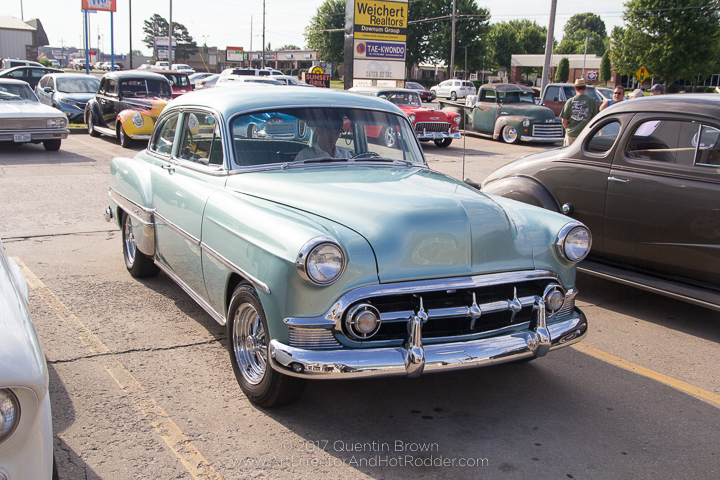 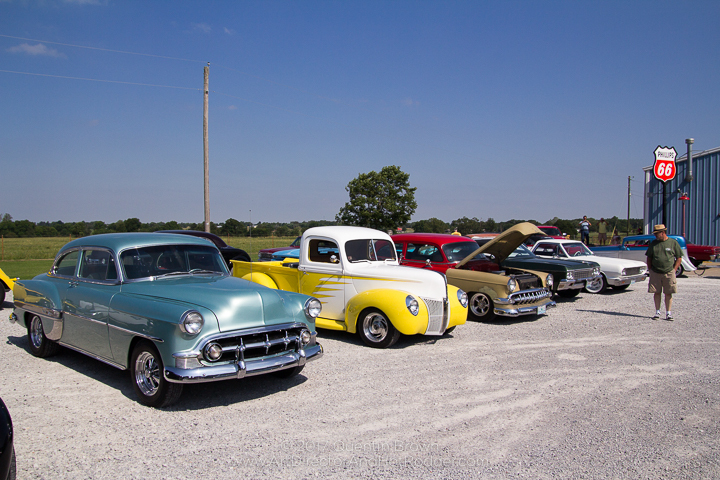 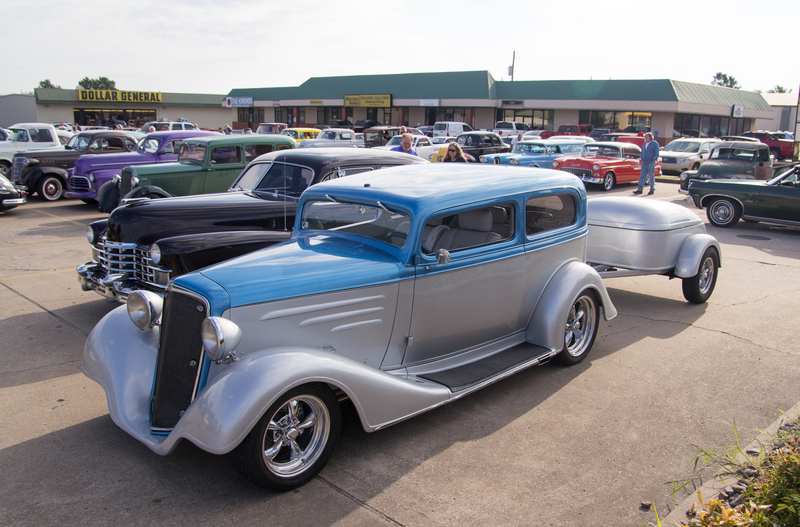 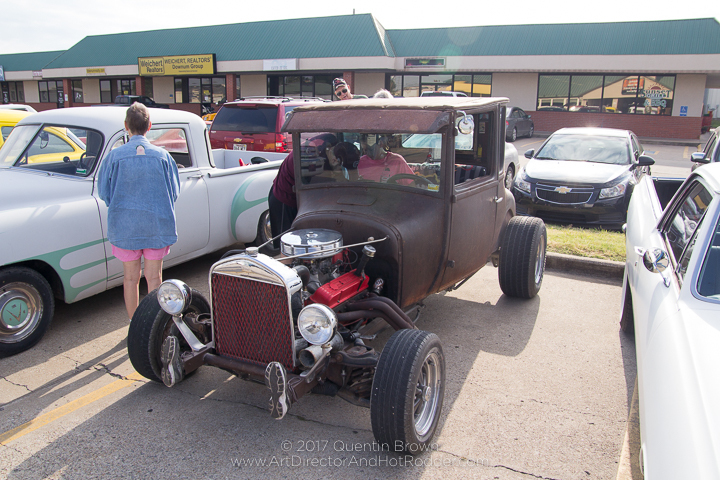 This year the Hot Rod Hundred was held on June 10th and started at the Western Sizzilin in Springdale Arkansas. 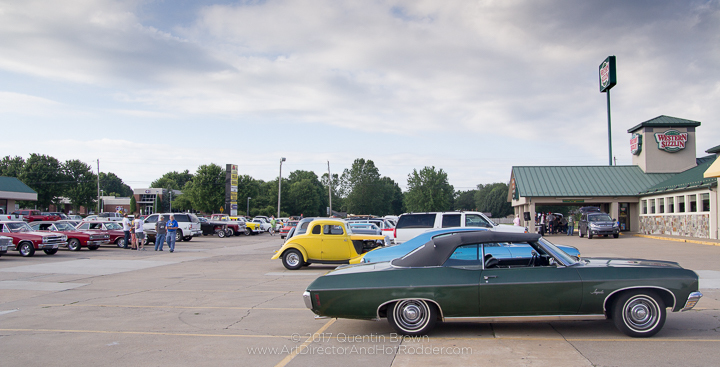 From there the route took us on back highways going pass the Northwest Arkansas Regional Airport, a stop at H&H Classics, the hanging bluffs of Noel, Mo, then through parts of Oklahoma to arrive in Baxter Springs, KS to stop at the March-Arch Bridge (Rainbow Bridge) and finally stopping at VFW Post 2590 in Carthage, Mo for lunch. 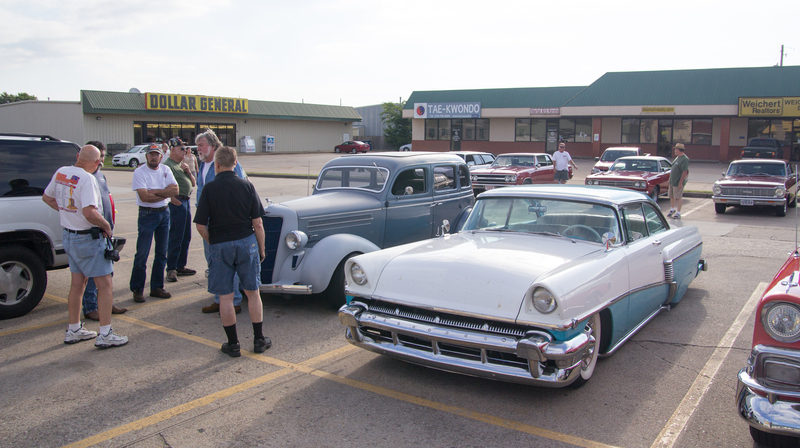 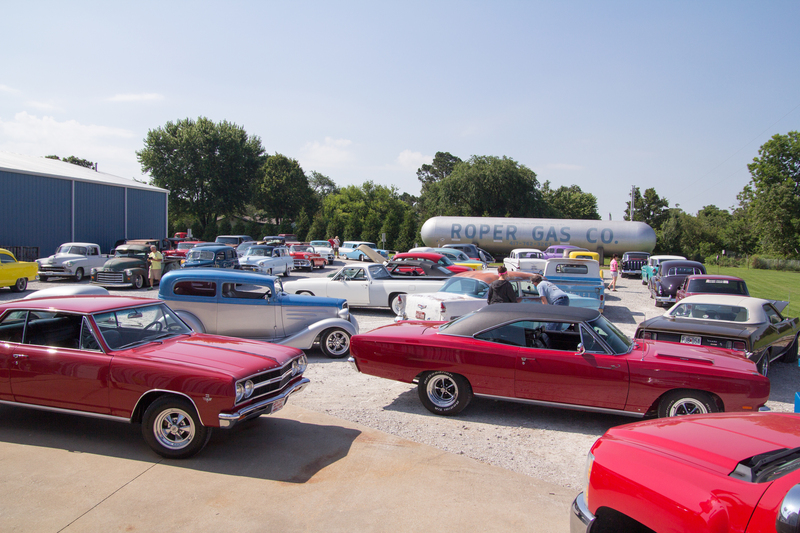 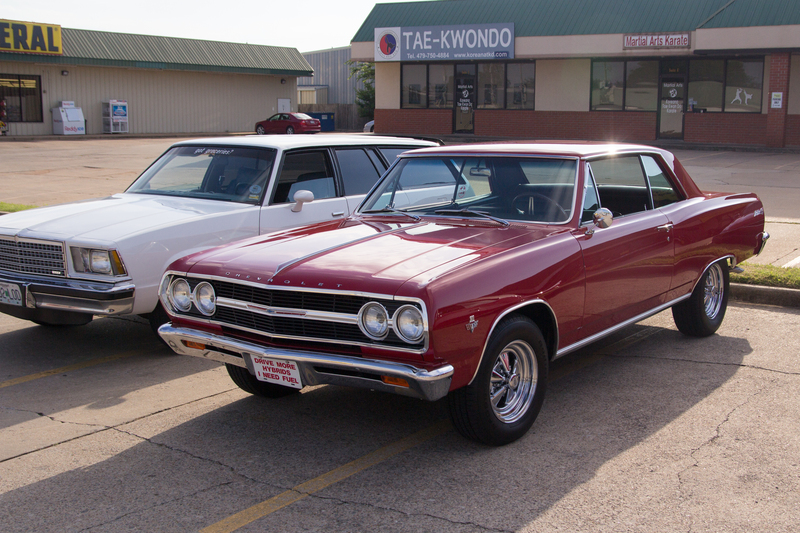 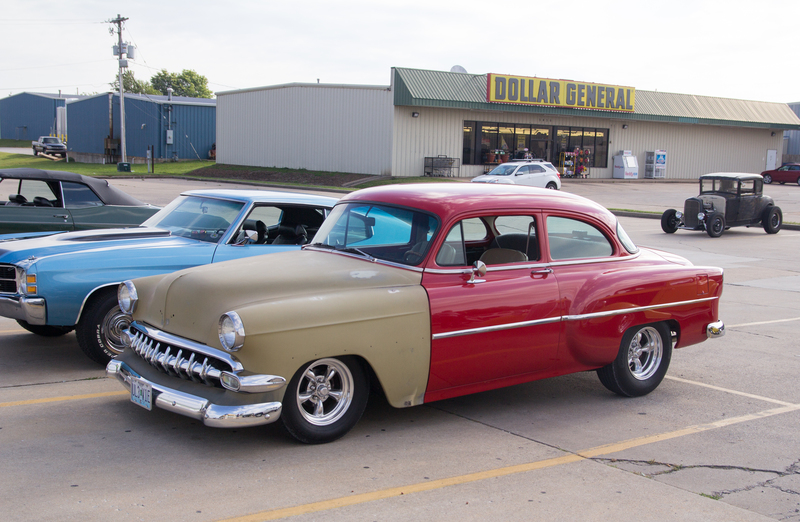 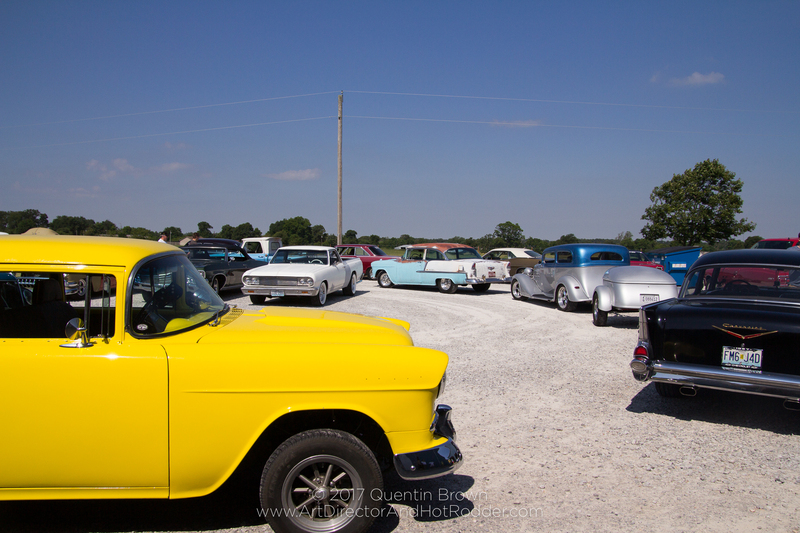 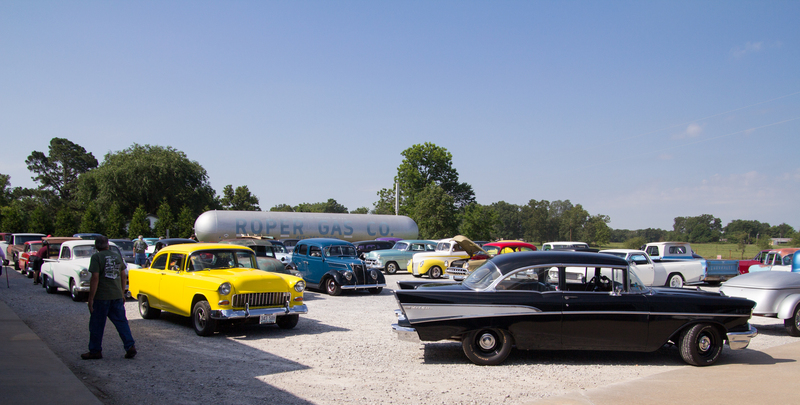 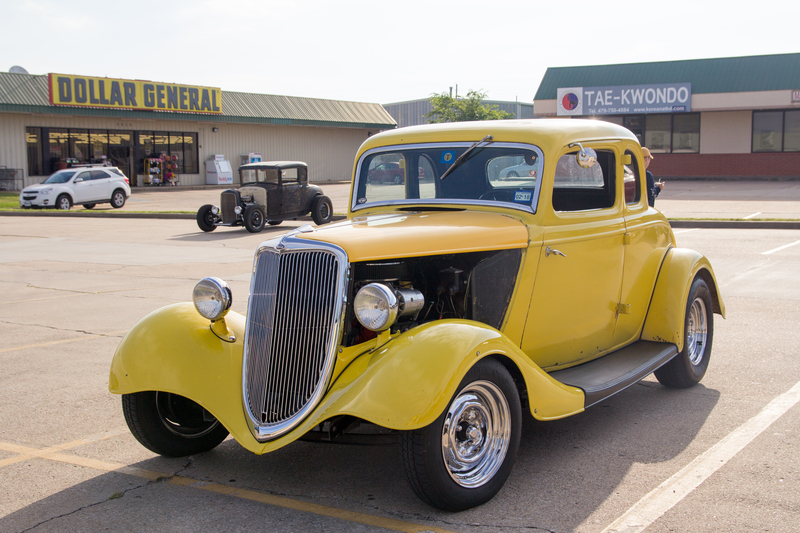 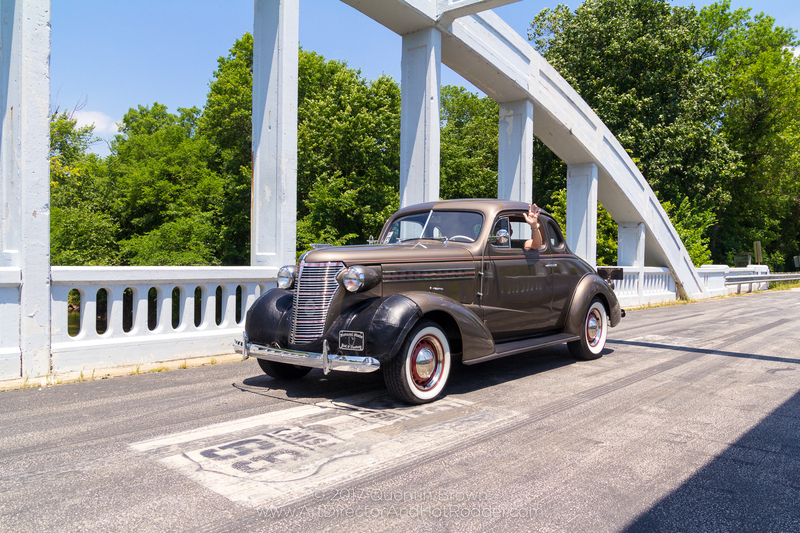 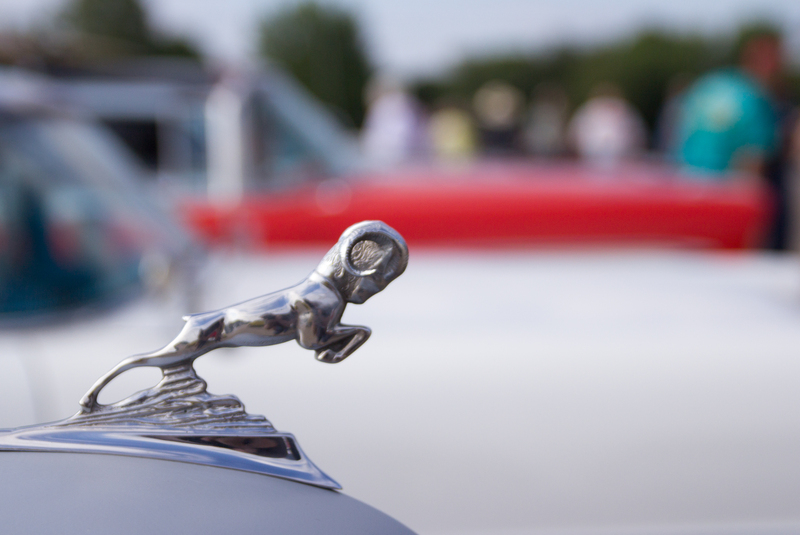 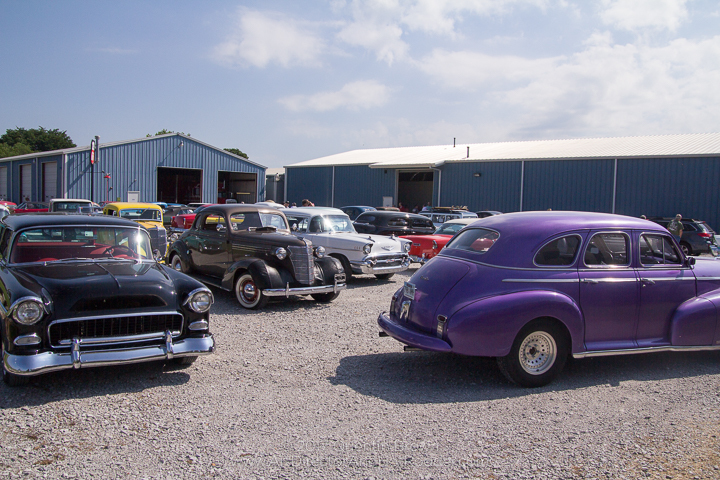 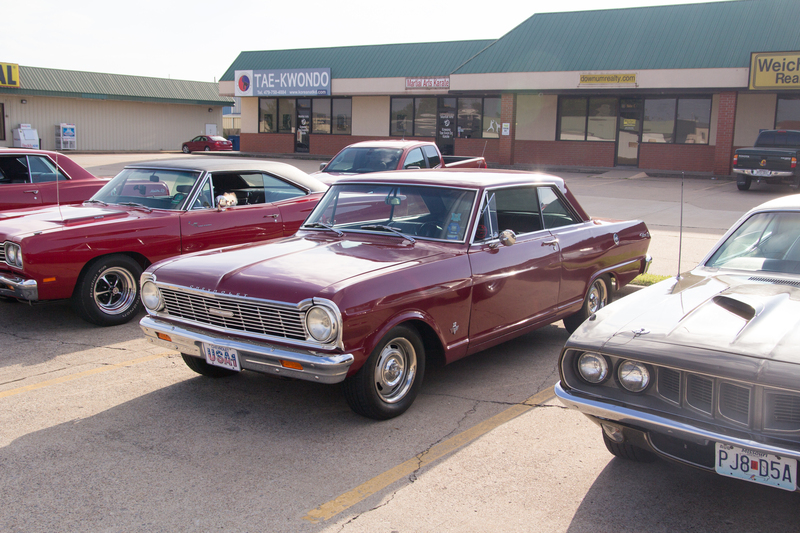 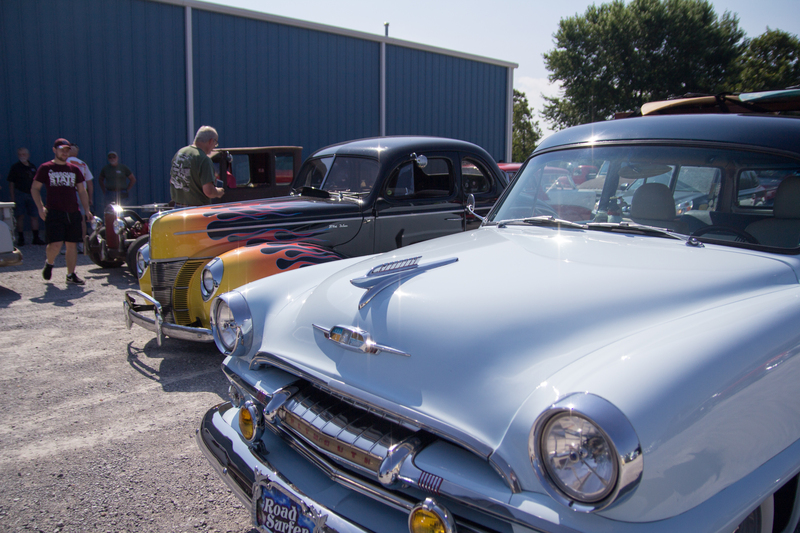 This was another great Hot Rod Hundred event held by the CrossMembers Car Club. 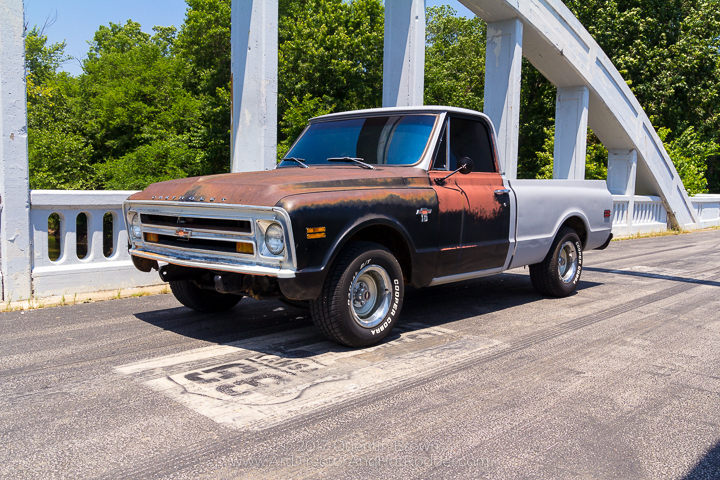 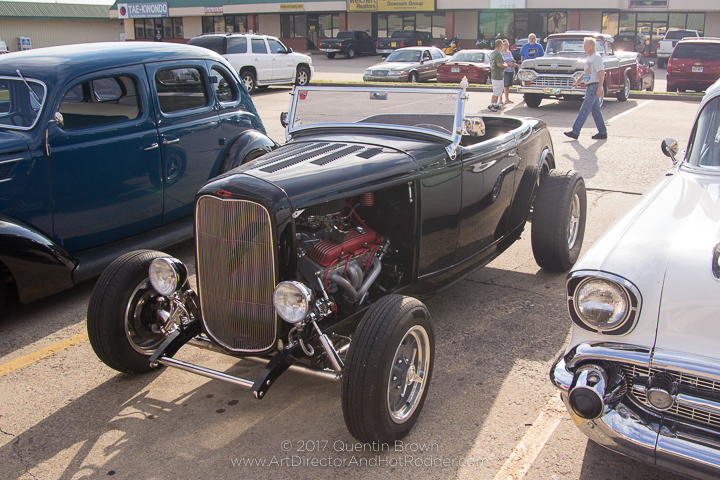 I really enjoy these Hot Rod Hundred events that the CrossMembers put on and was fortunate enough this year to be asked to document the event by taking photos. 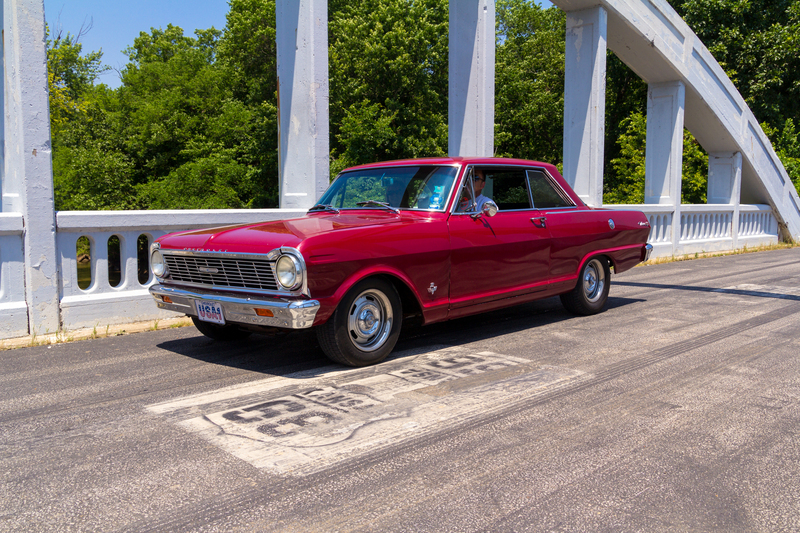 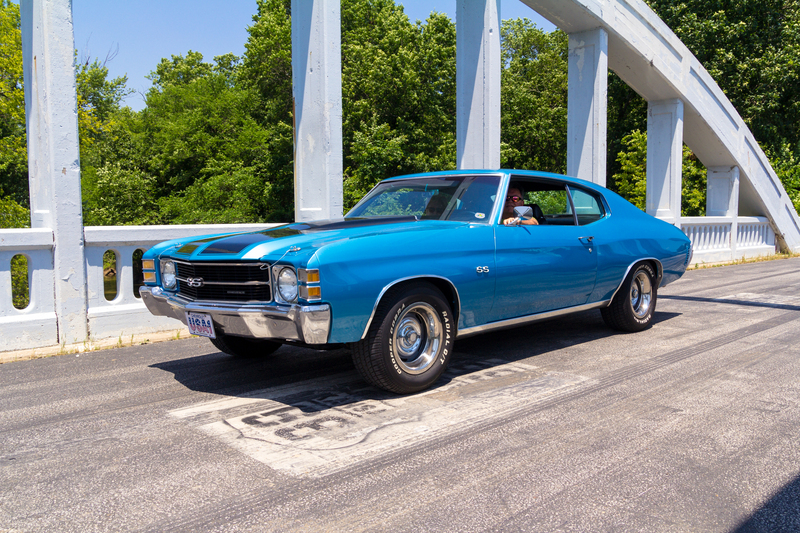 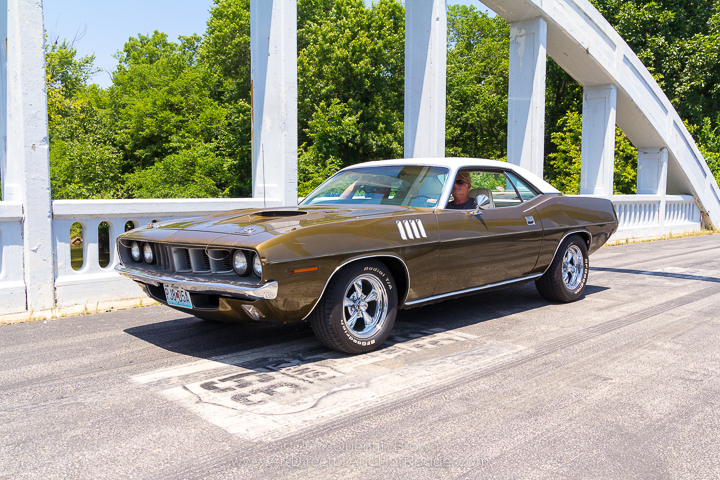 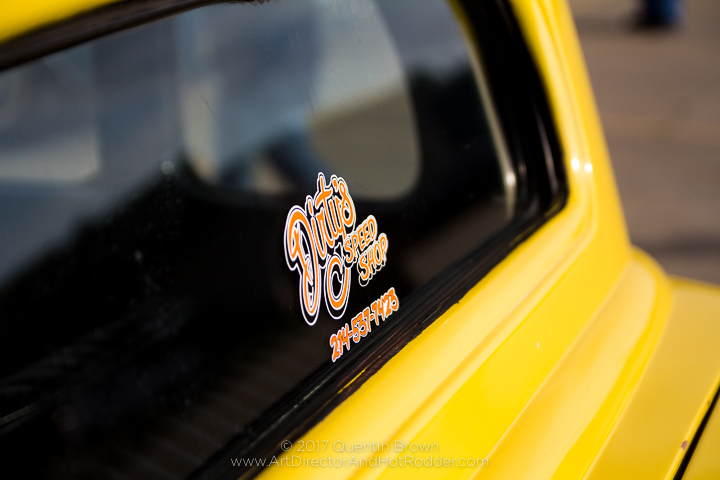 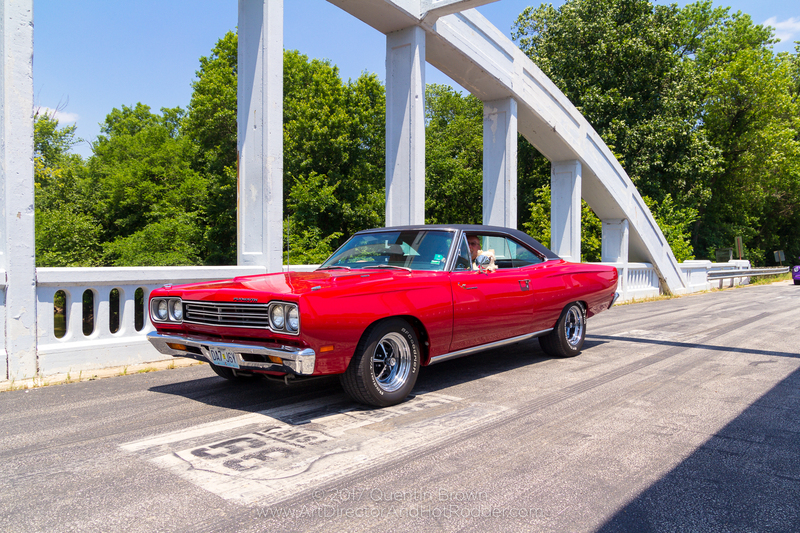 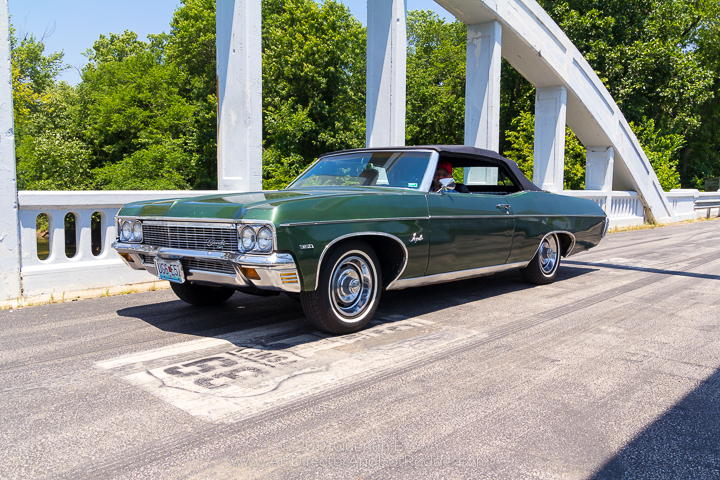 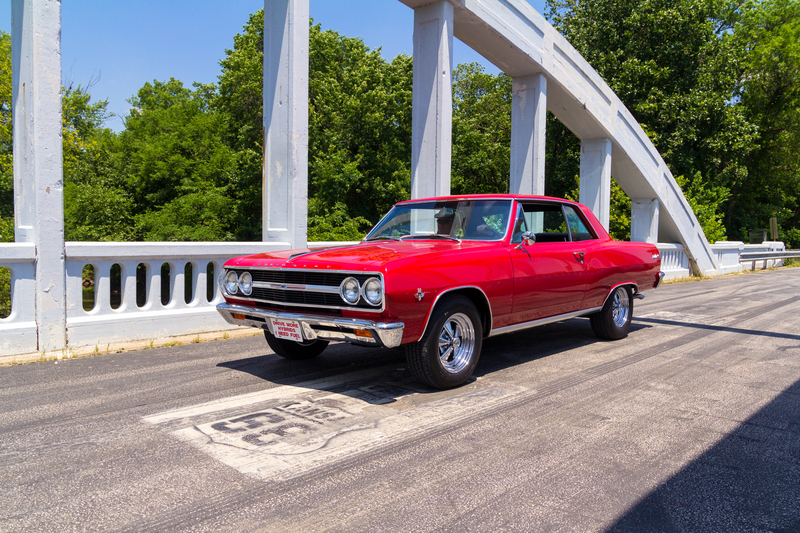 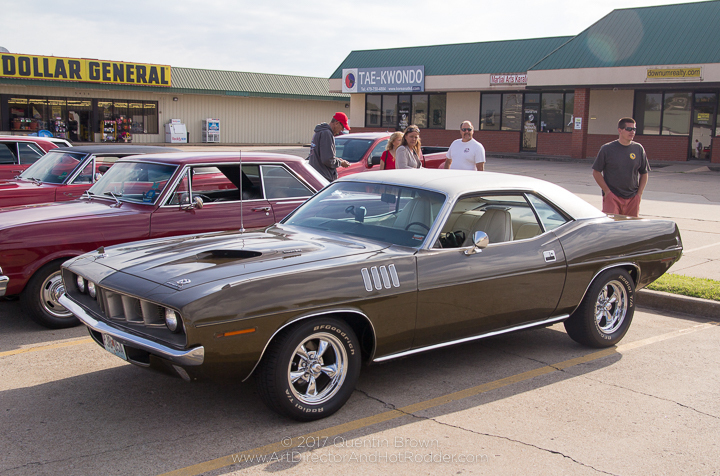 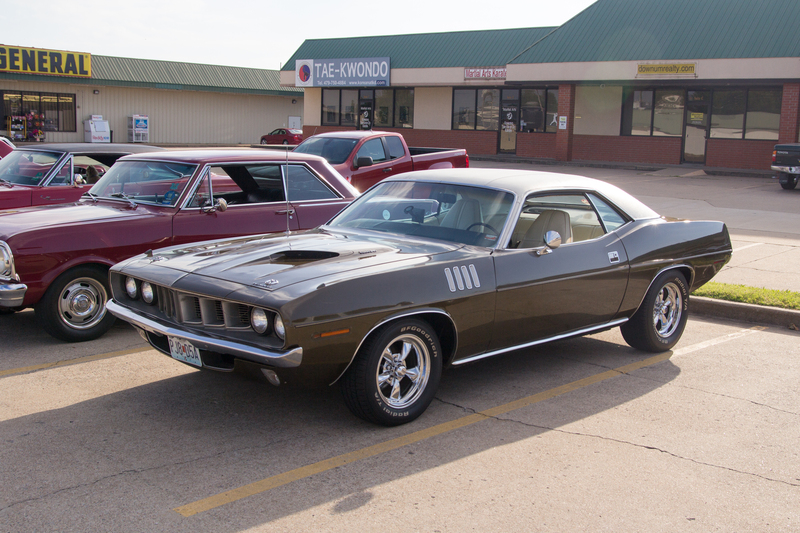 Below are 90+ photos from the Hot Rod Hundred and I think just about every car that went on the drive with us. 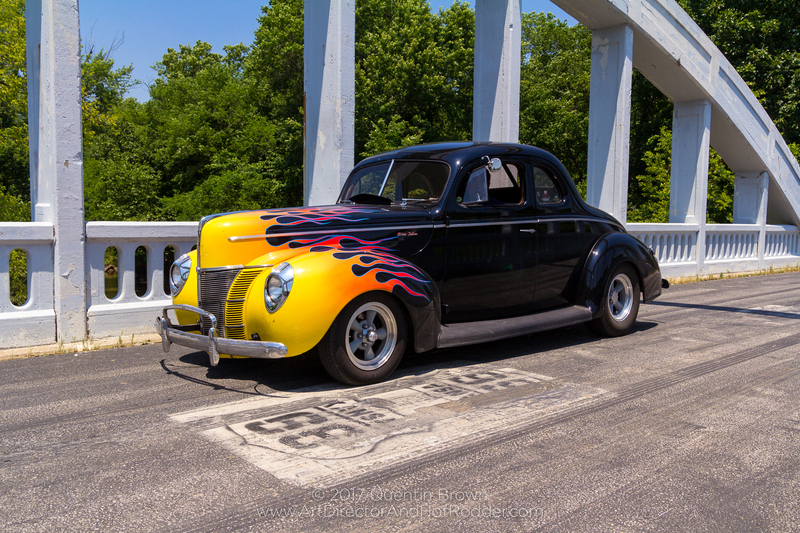 If you would like to download all 99 images plus the print release form to your computer please click here to download a .ZIP file. 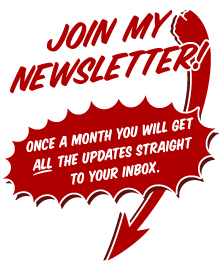 Once you download this .ZIP file you will need to uncompress it. 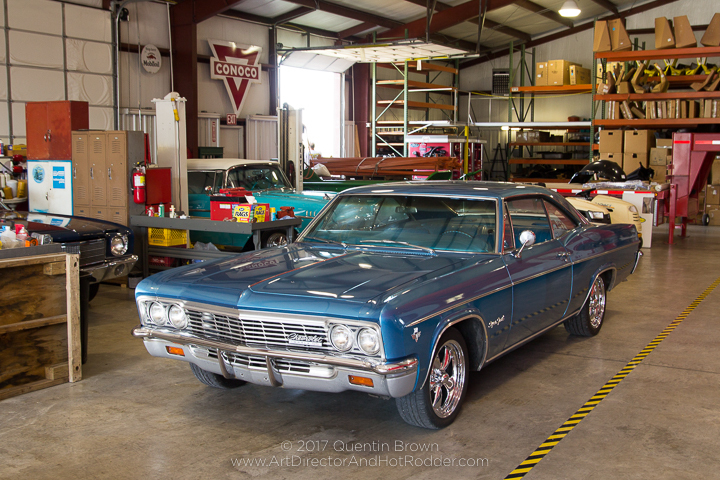 Most modern computers should just need you to double-click on the downloaded .ZIP file to begin uncompressing the files. 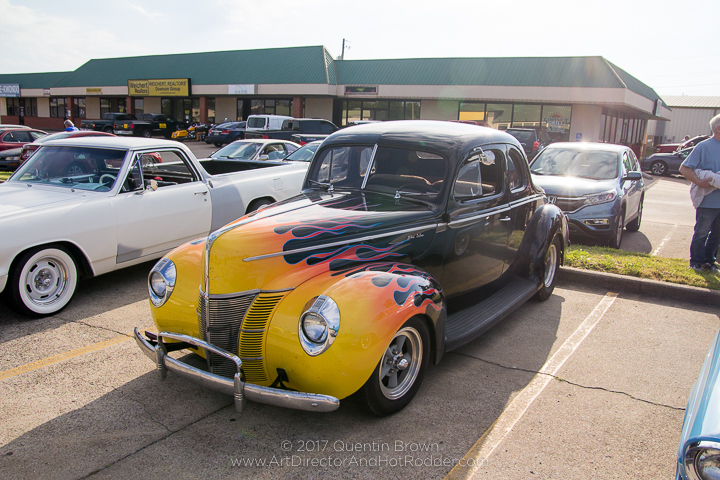 If you just want to download individual pictures for printing please click here to download a print release form just in case where you get your pictures printed asks for a print release form. If you would like to download the high-resolution version of the above image click here.